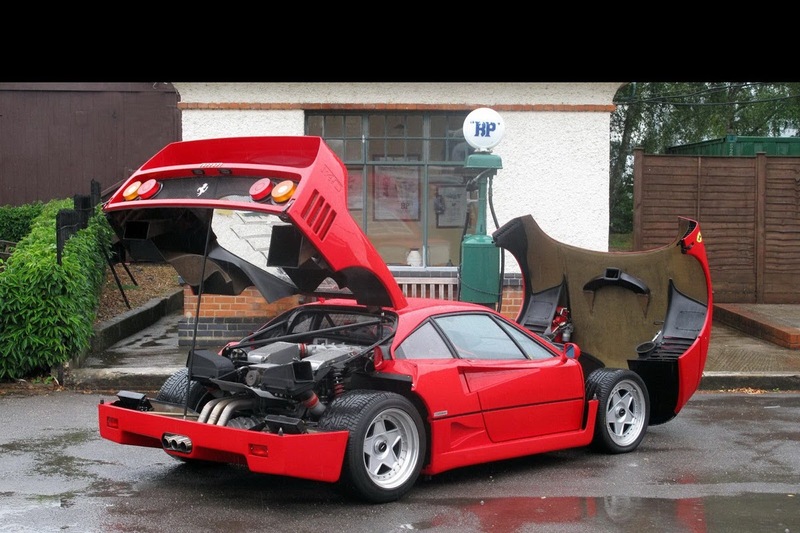 Not all Ferraris are born equal. 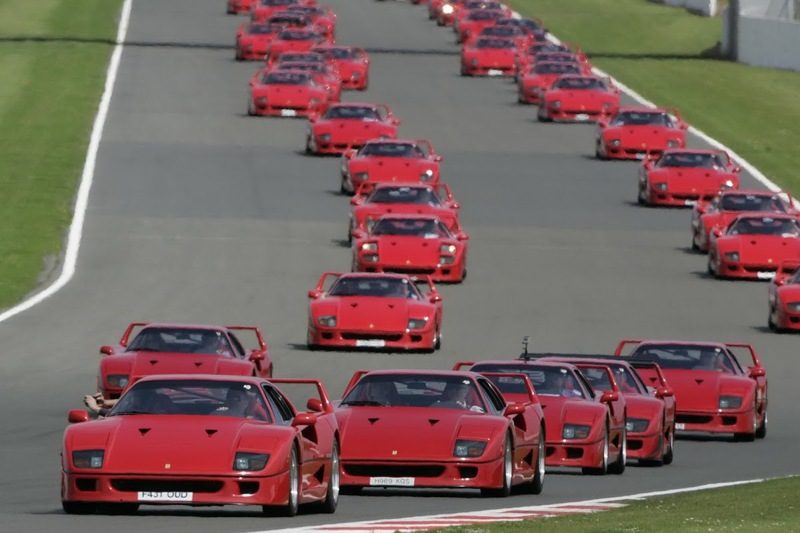 True, each and every one of them is a bona-fide supercar (with a lemon or two thrown in from time to time; no one gets it always right…). 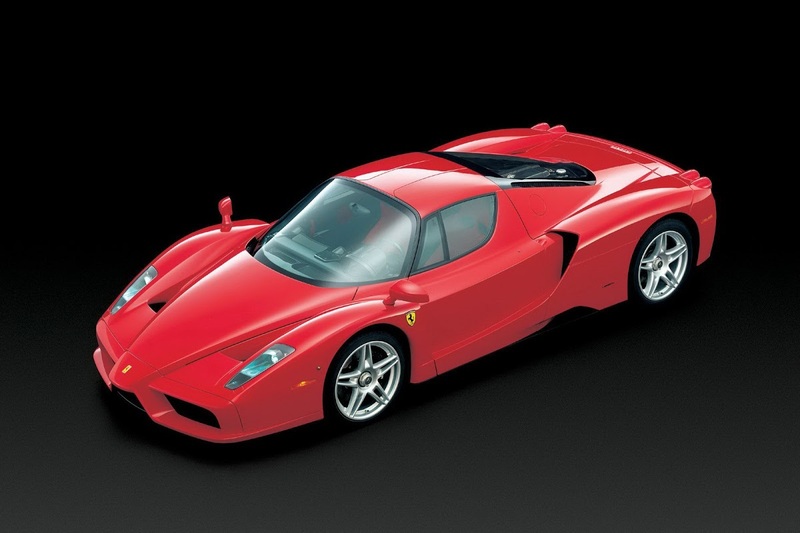 Among all the models built over the years, though, there are four that stand out. 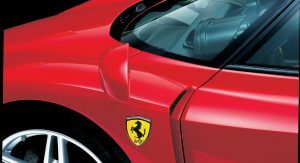 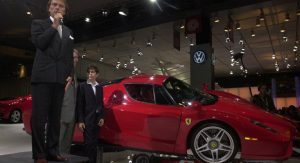 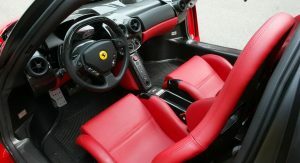 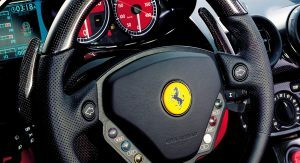 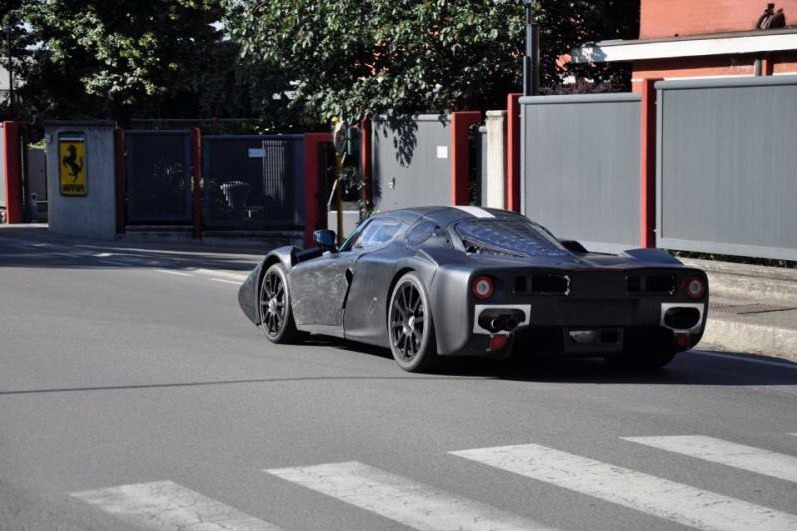 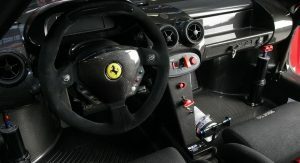 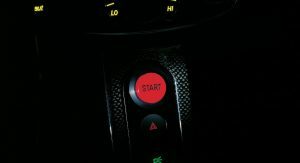 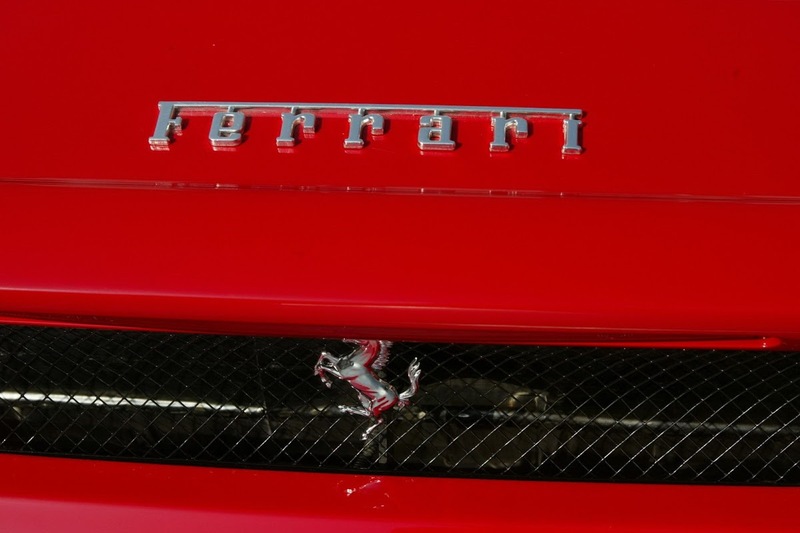 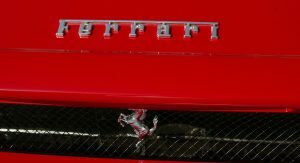 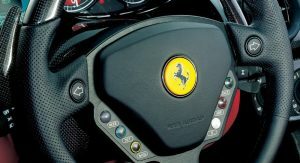 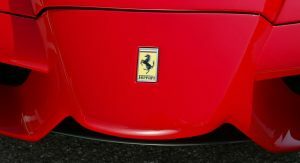 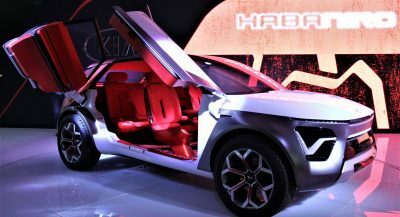 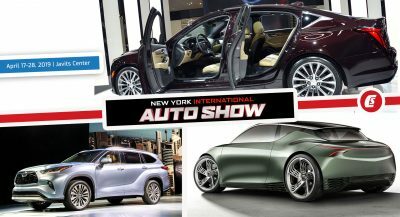 During an interview published in Ferrari’s official magazine, the automaker’s Technical director Roberto Fedeli said that people inside the company feel the term “supercar” isn’t strong enough for these cars. 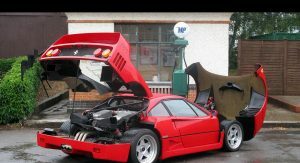 “We call them ‘the special cars’”, he said. 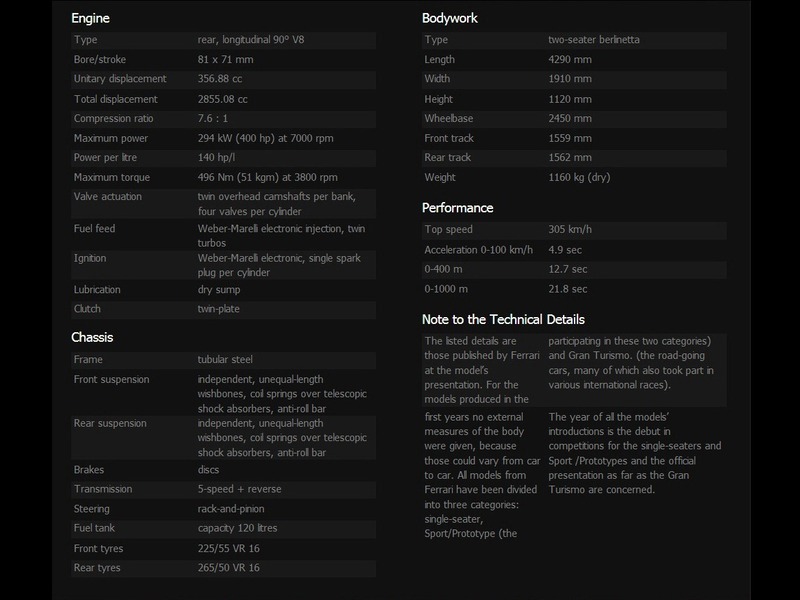 “Let’s refer to them as our ‘specials’”. 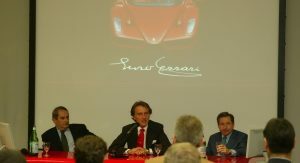 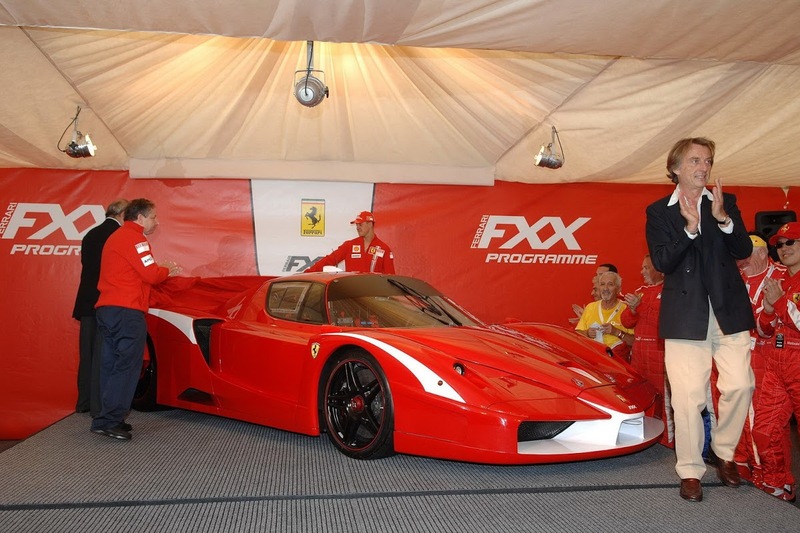 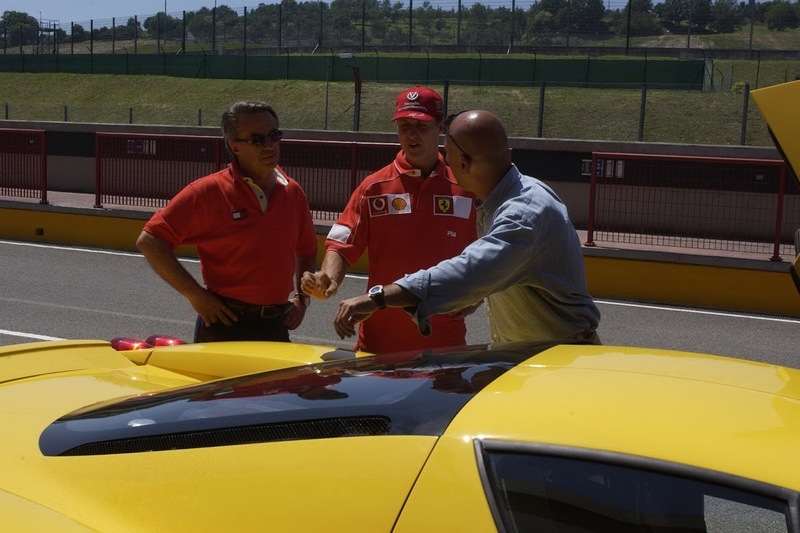 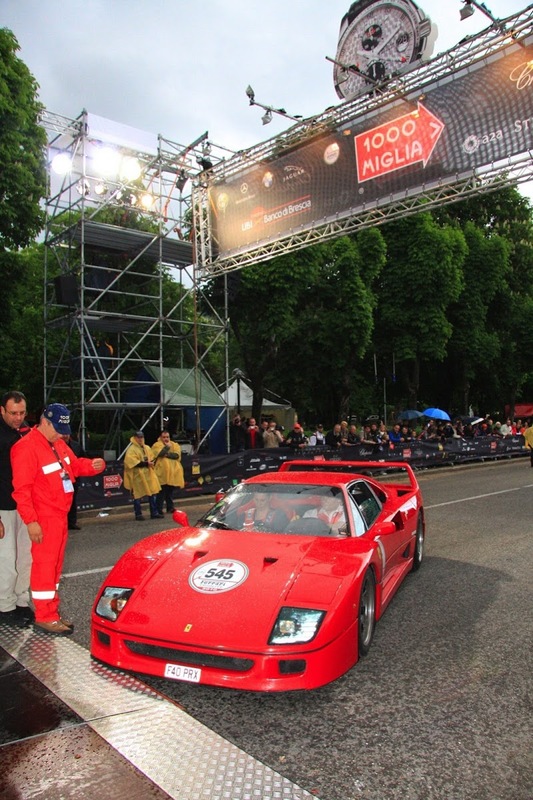 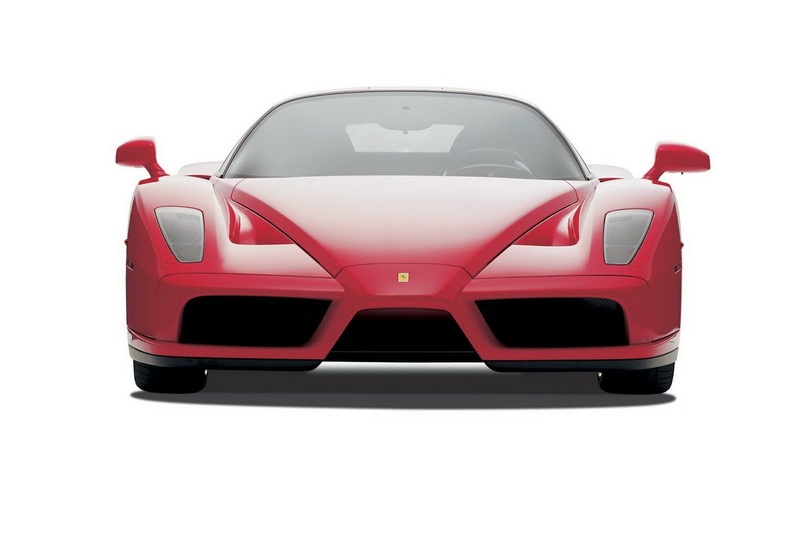 The ‘specials’ Fedeli is talking about are the GTO, F40, F50 and Enzo. 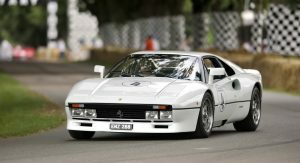 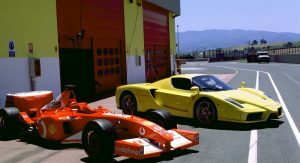 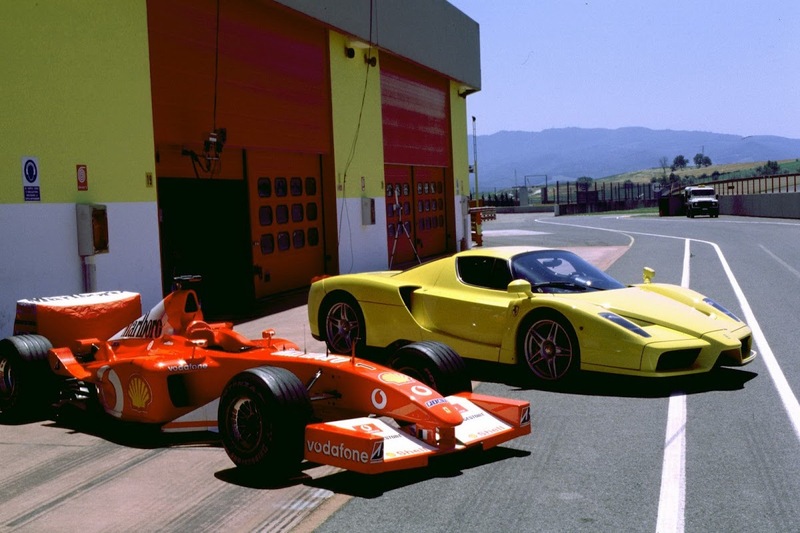 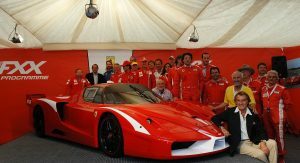 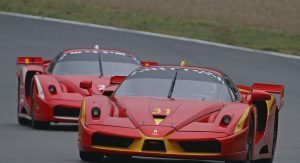 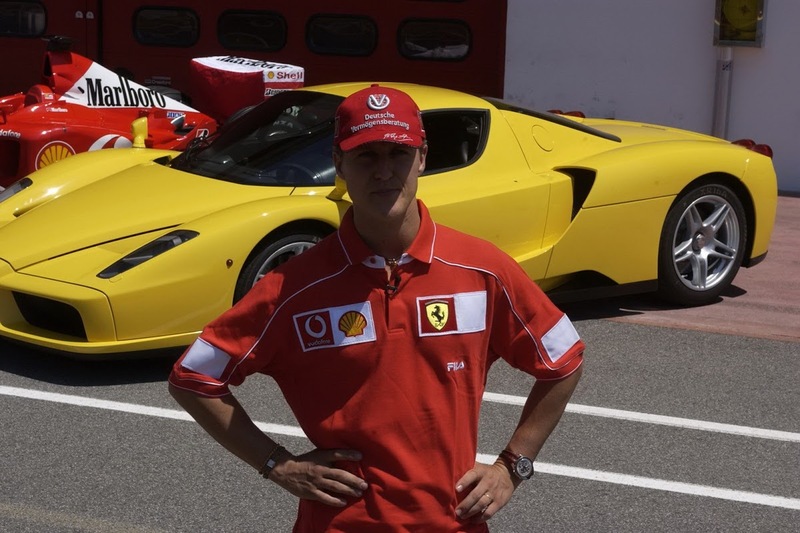 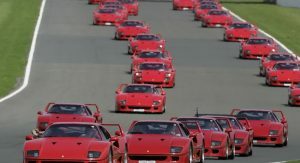 Although there is no chronological continuity among them, they were all at the top of the game in their time and represented a link between Ferrari’s Formula 1 team and the “regular” production cars. 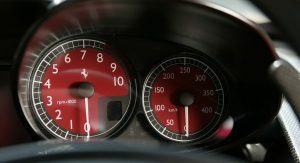 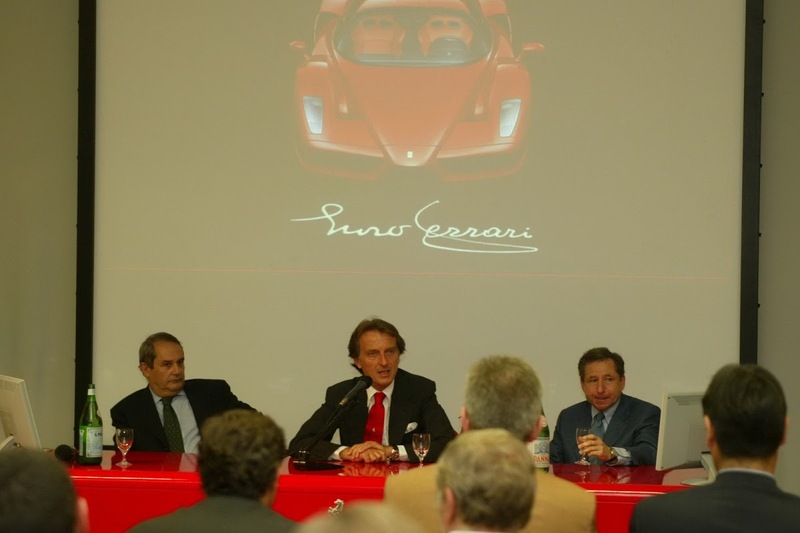 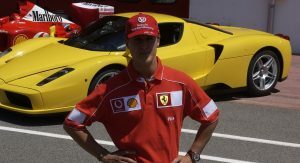 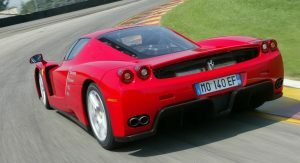 Echoing Enzo Ferrari, who had said, “the most important victory is the one which has to arrive” Fedeli, who is responsible for the fifth Ferrari “special”, currently known by its internal code-name F150 and which is due in 2013, said that “the most important car is always the next one”. 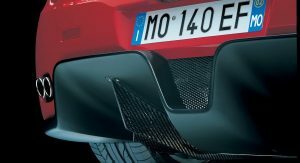 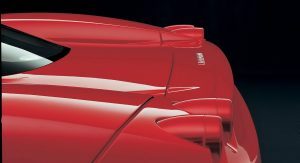 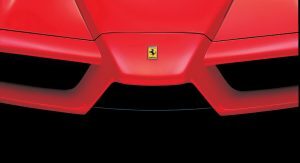 Only days ago, Ferrari teased us with the front and rear views of the F150 that Fedeli promised “will be the greatest transfer between F1 and road car that we ever did.” So, are you ready to take a ride down memory lane with us? 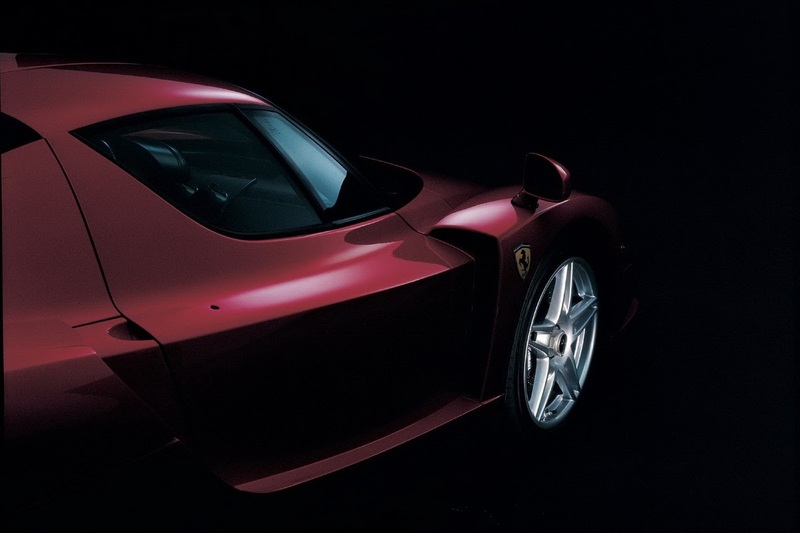 If the answer is yes, just scroll down and enjoy. 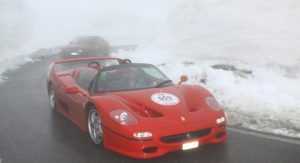 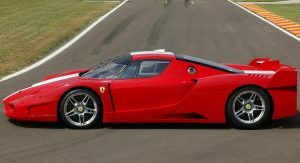 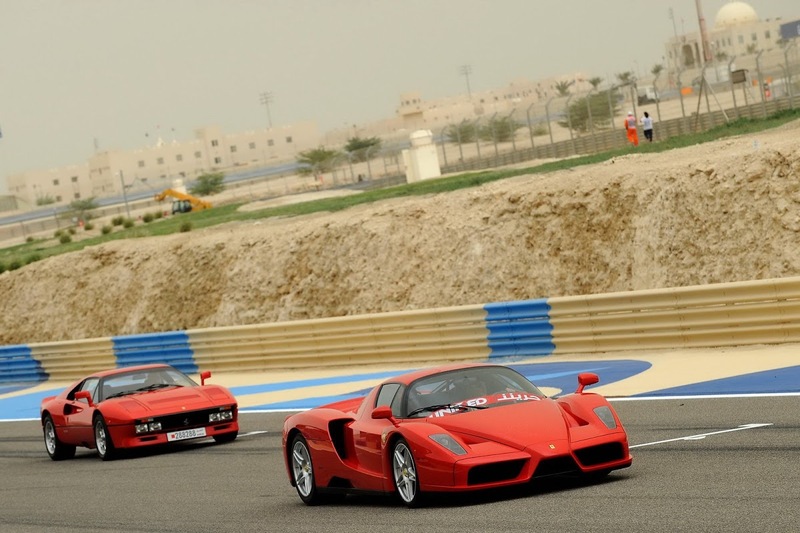 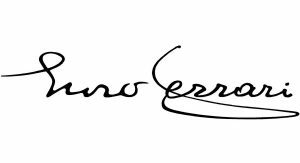 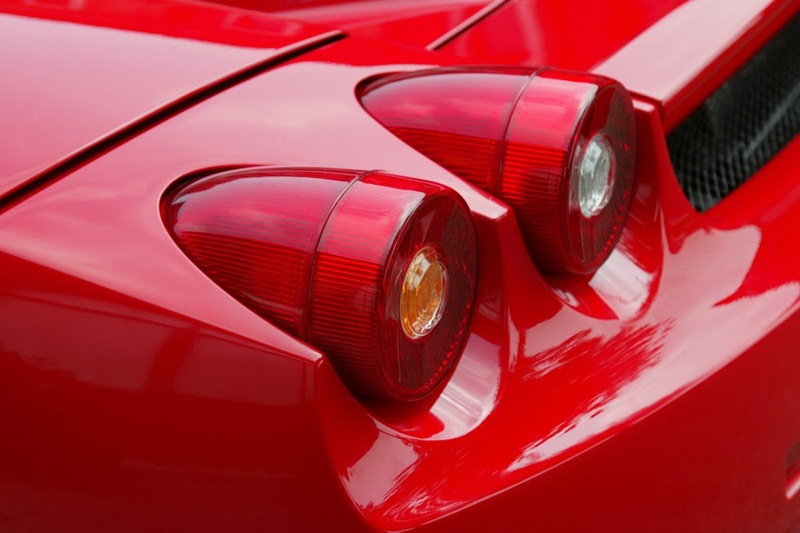 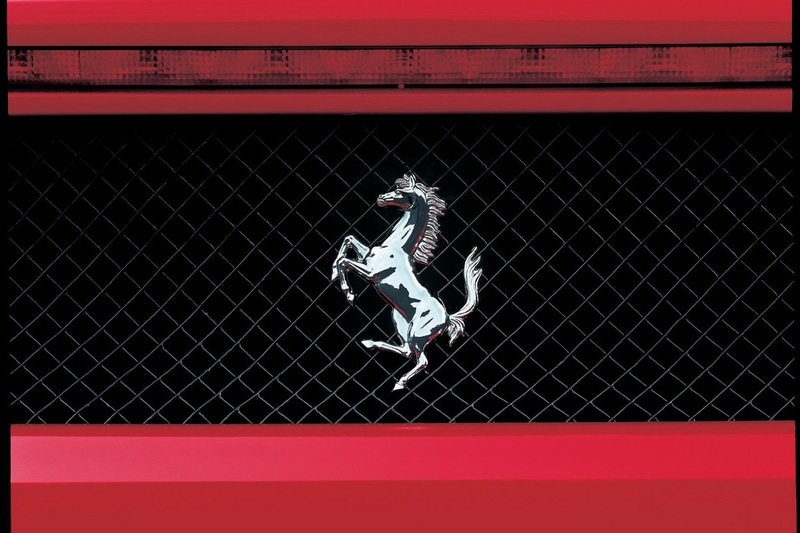 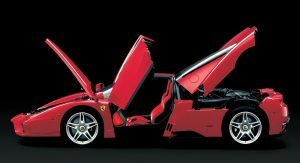 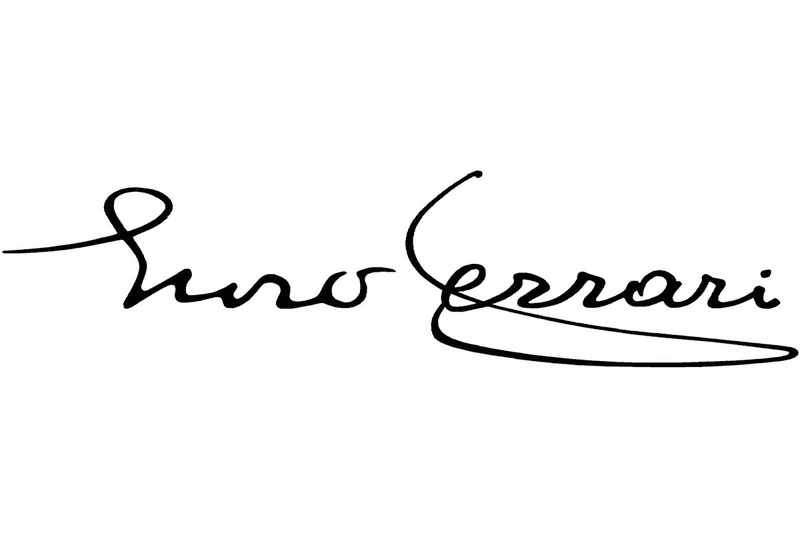 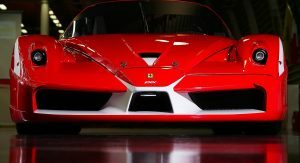 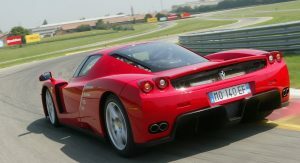 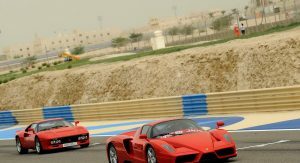 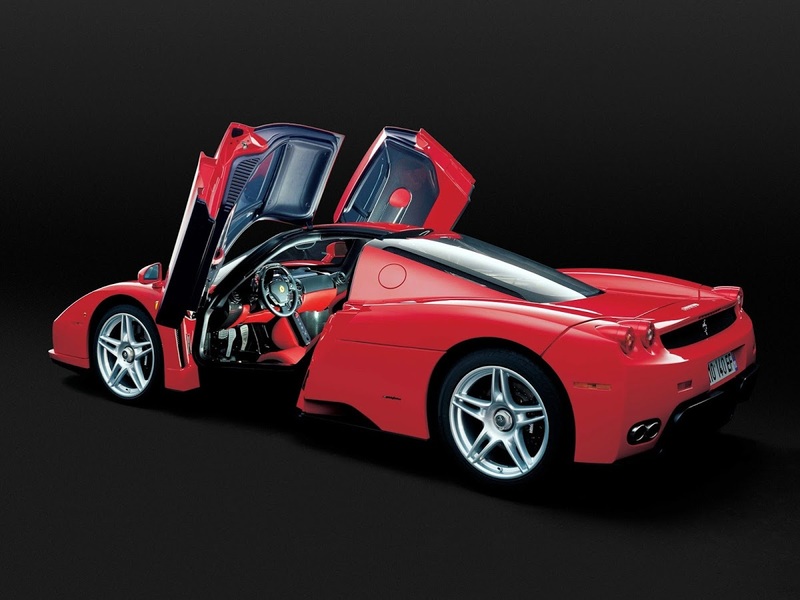 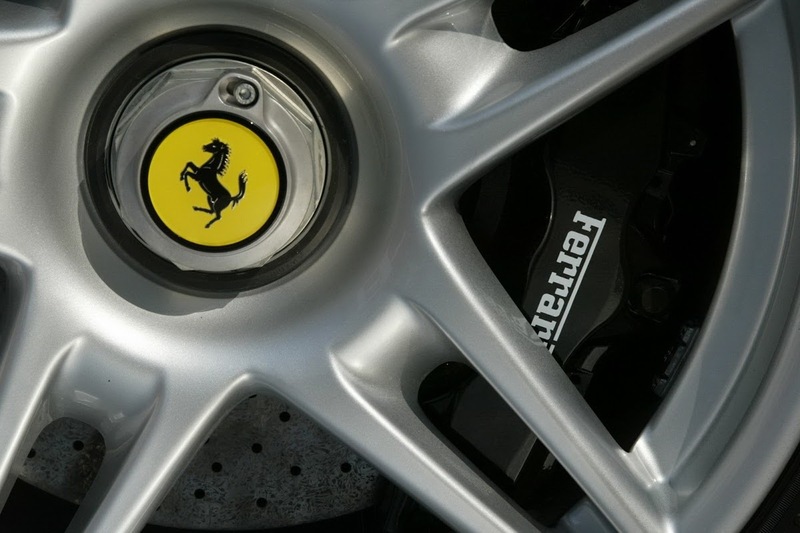 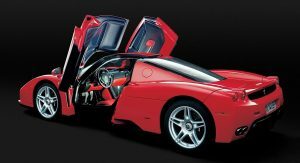 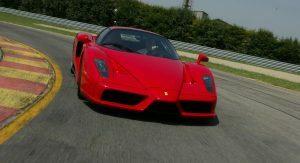 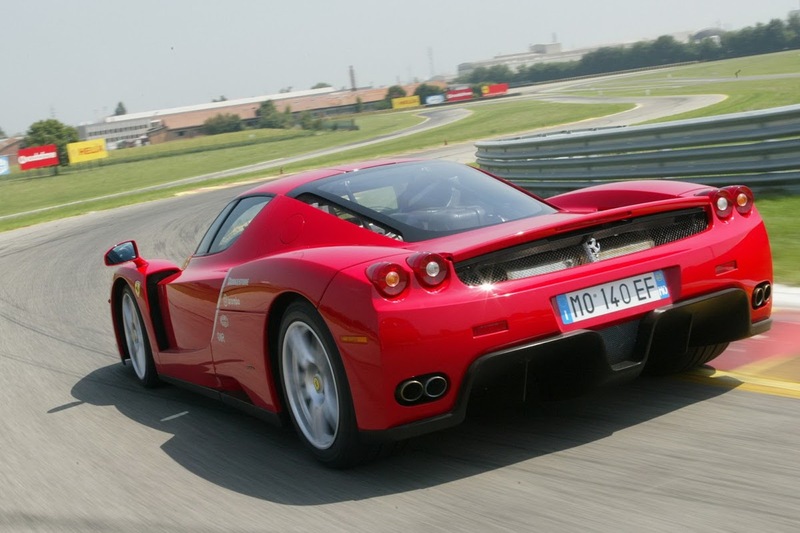 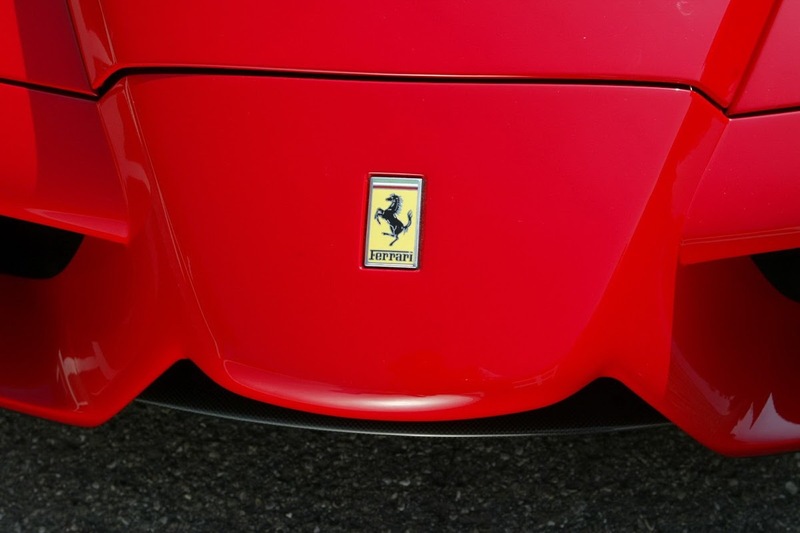 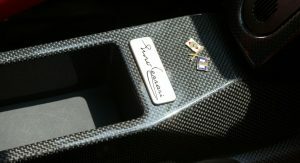 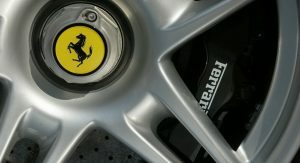 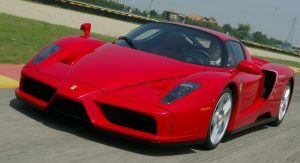 Legend has it that Enzo Ferrari built road cars in order to fund his true passion, which was the Scuderia racing team. 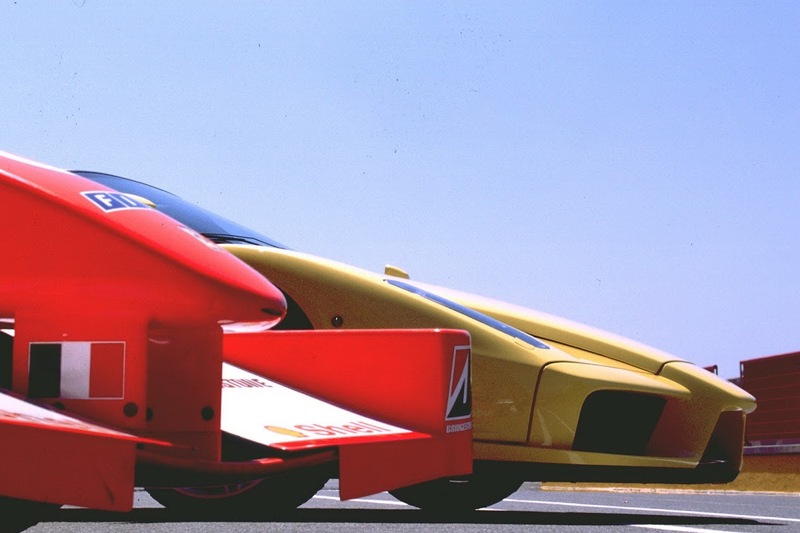 It is fitting then that the first of the four “specials” was built to homologate a racing car. 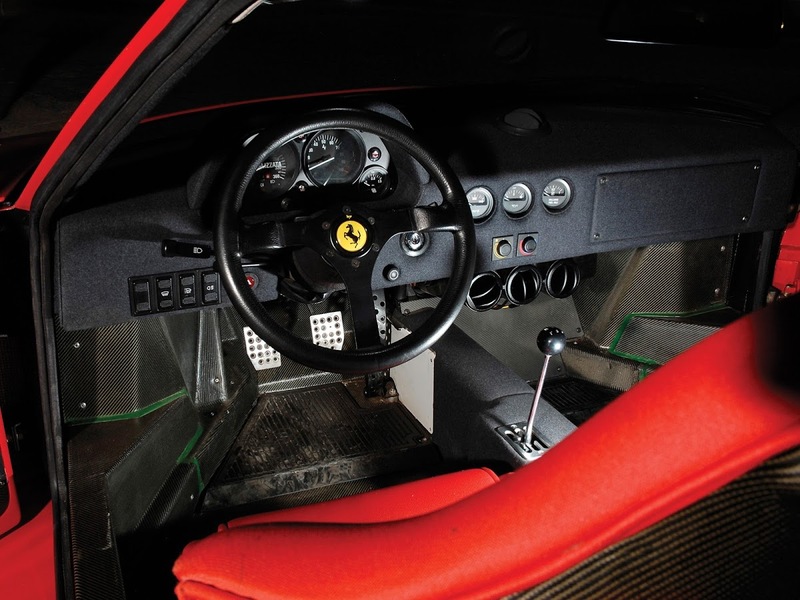 In the early 1980s, Ferrari decided to compete in the World Rally championship against Porsche’s 959. 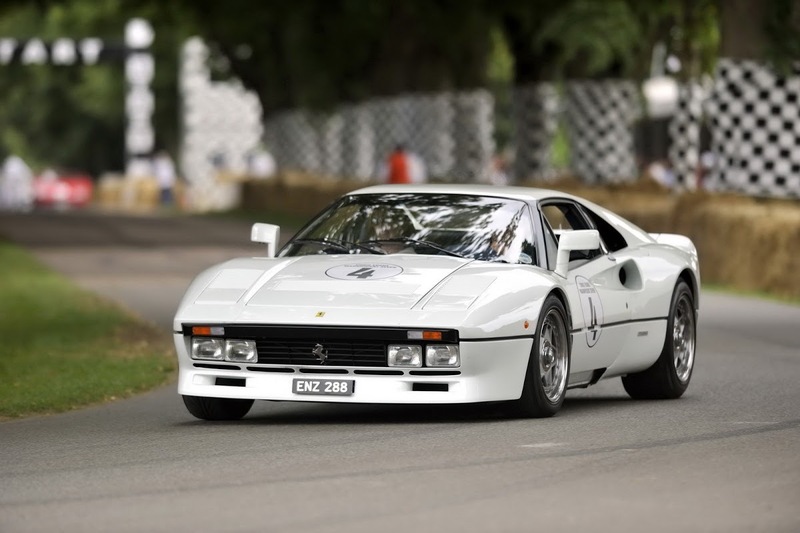 Group B, the series’ top class, rules stipulated that a minimum of 200 road-legal cars had to be built for a car to be homologated. 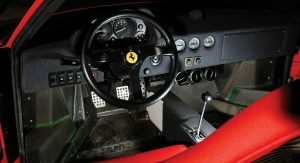 Thus, it was simply named the GTO, for Gran Turismo Omologato, “homologated” in Italian (the 288 is -unofficially- added to distinguish it from the 250 GTO). 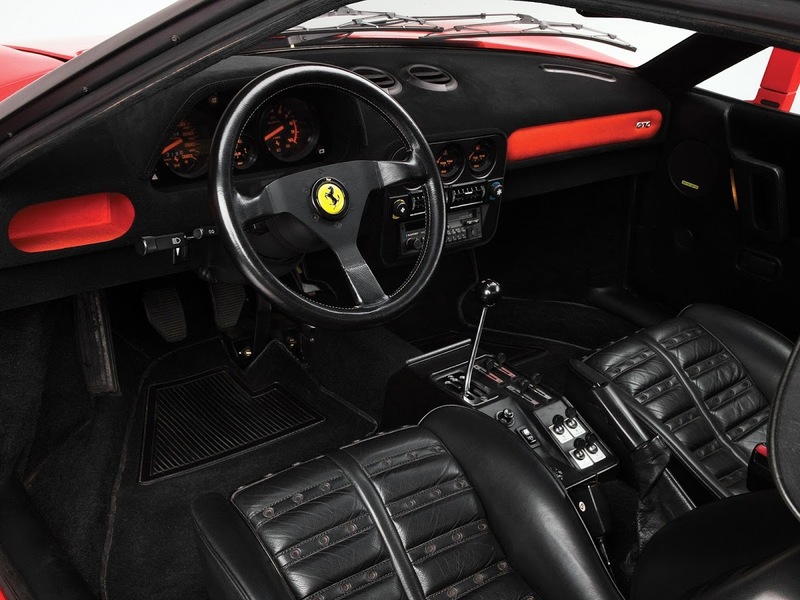 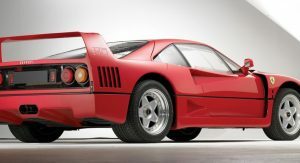 Based on the 308 GTB, it was the first turbocharged road-going Ferrari ever and the first in which the V8 was mounted longitudinally instead of transversely. 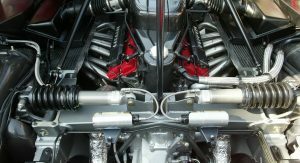 Said V8 breathed through a pair of IHI turbochargers and had a capacity of 2,855 cc, hence the 288 moniker (2.8 liters, 8 cylinders). 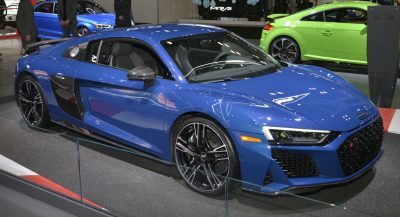 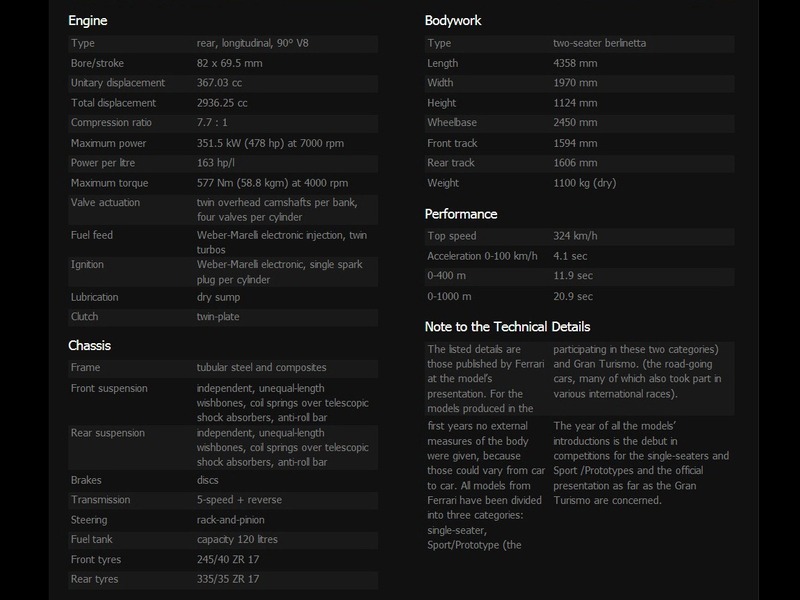 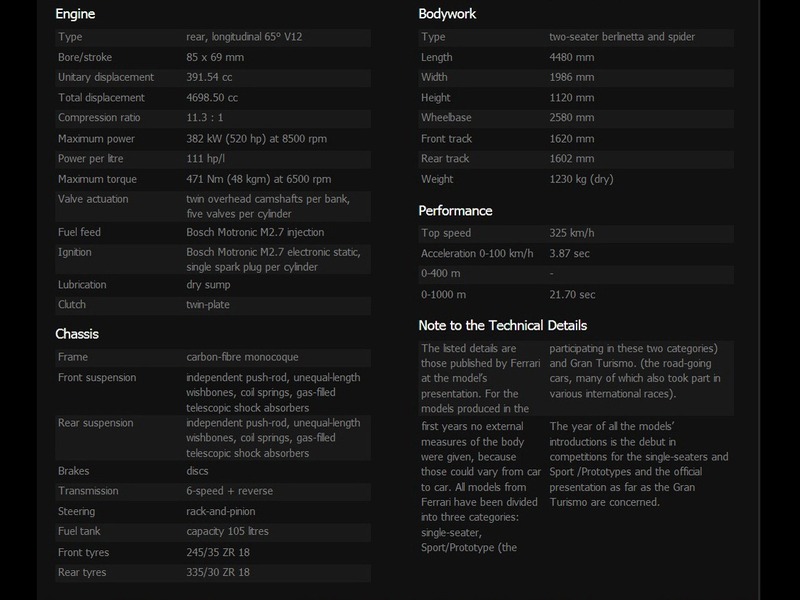 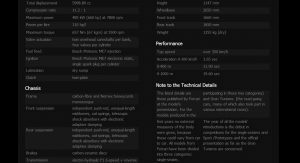 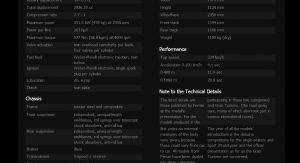 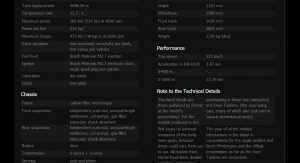 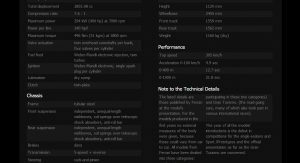 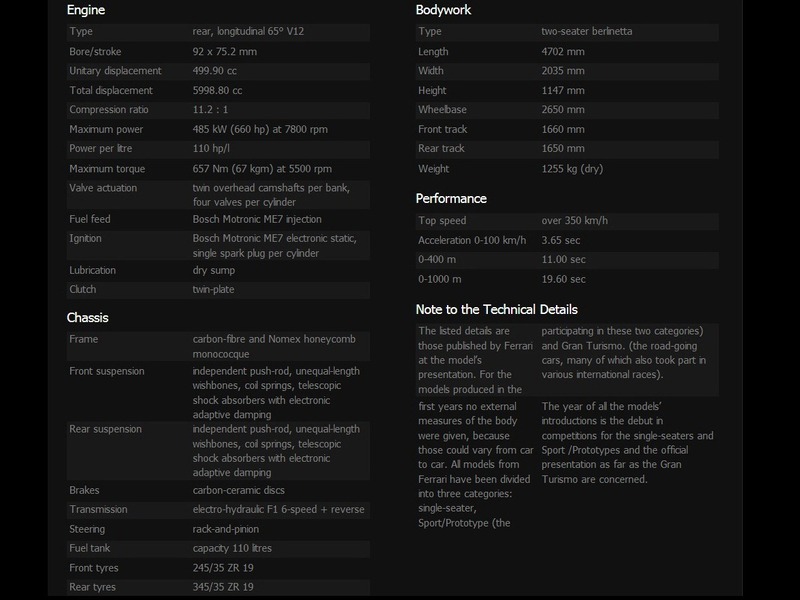 This was dictated by Group B rules that allowed for a maximum of 4.0 liters in normally-aspirated engines and multiplied force-fed ones’ capacity by 1.4. 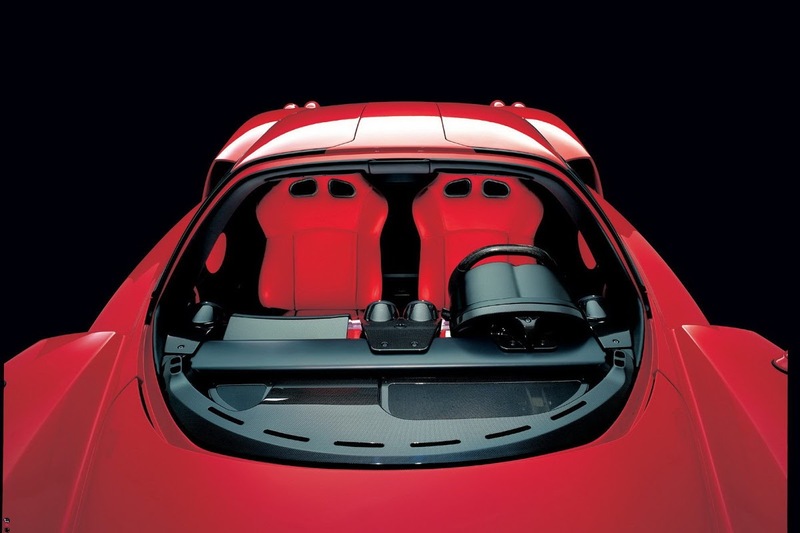 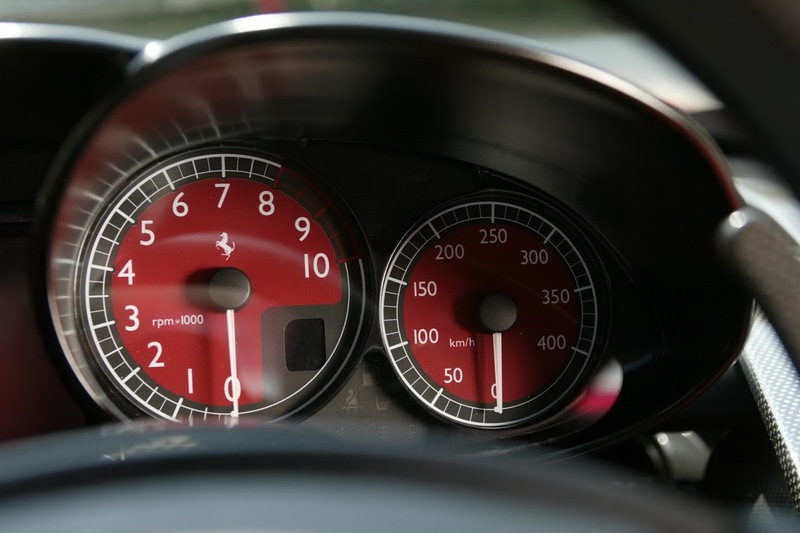 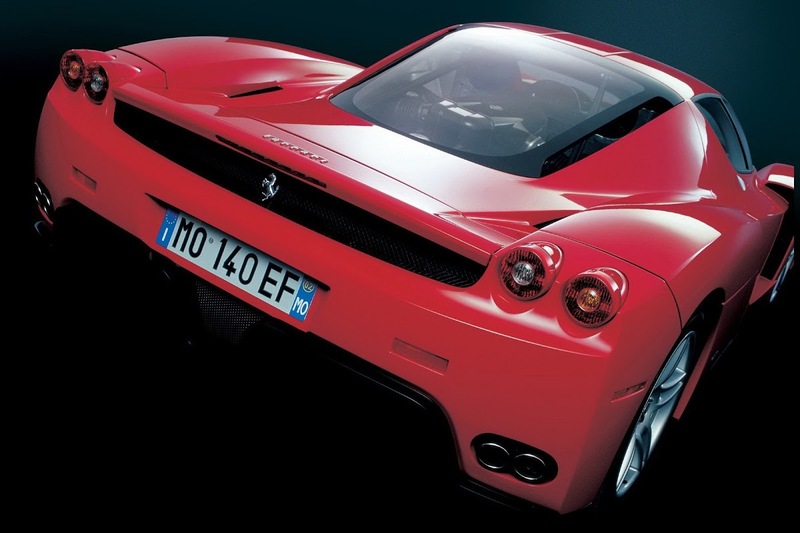 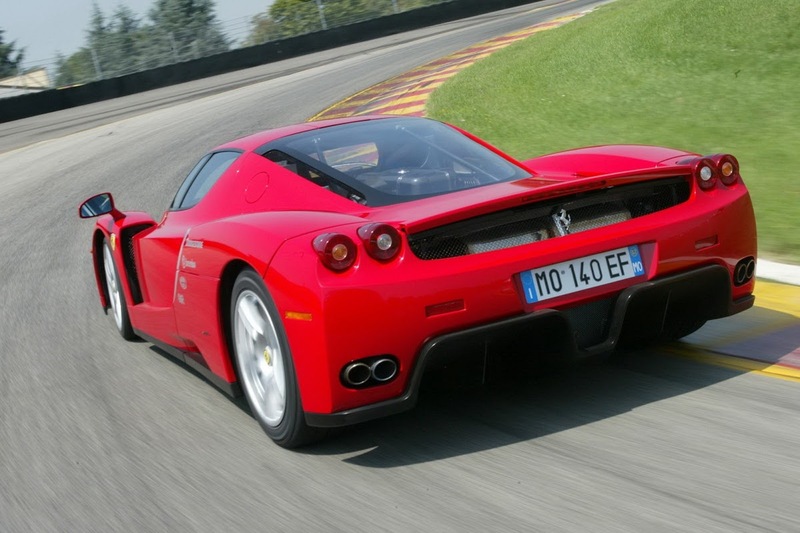 Output was 400HP, making it the first Ferrari to exceed 300 km/h (189 mph). 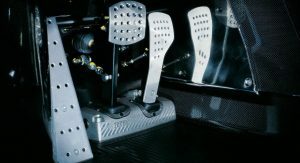 A series of fatal accidents, the most publicized of which was that of Henri Toivonen and his co-driver Sergio Cresto in a Lancia S4, FIA decided Group B racers had become too dangerous. 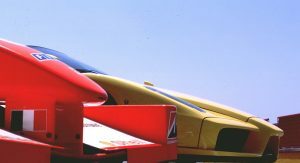 Group B “specials” were banned leaving just Group A. 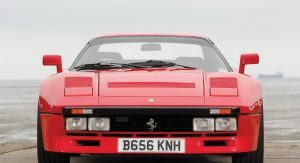 Its production run was very short, just 272 cars built from 1984-1985 and five Evoluzione units with improved aerodynamics and output. 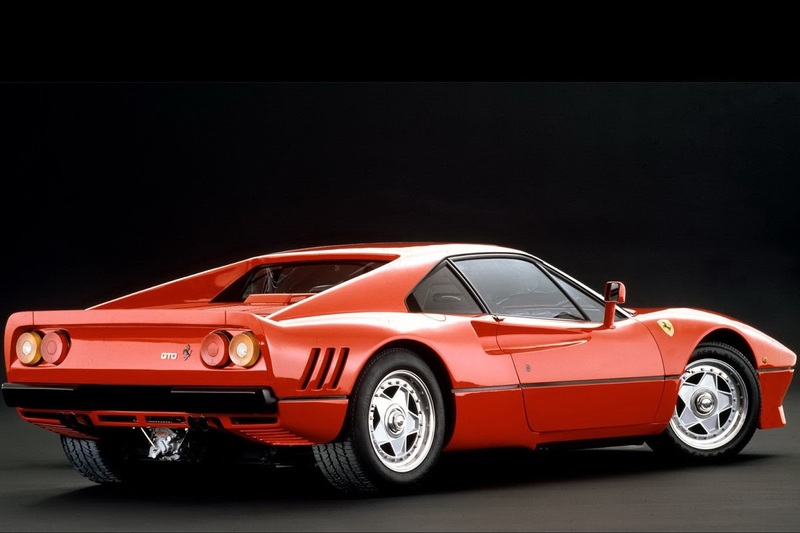 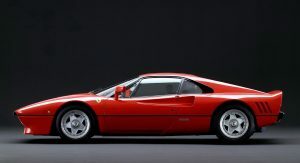 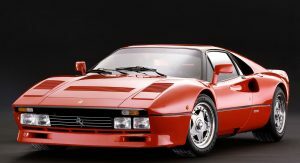 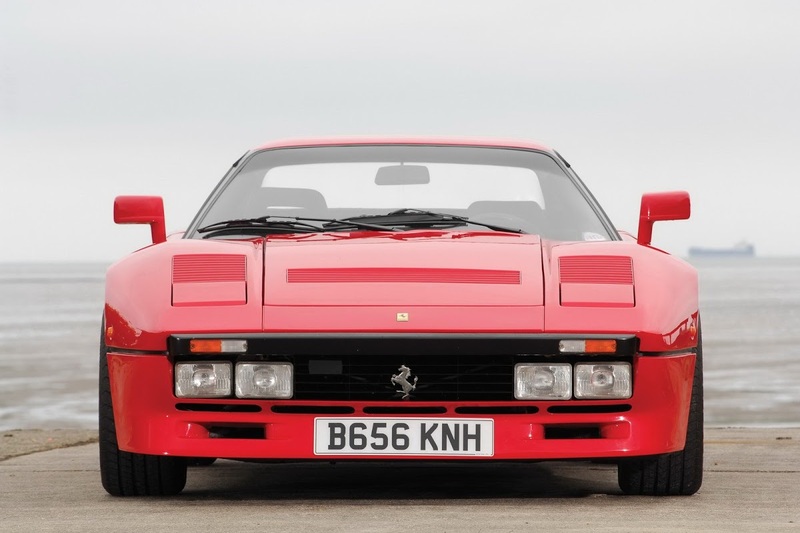 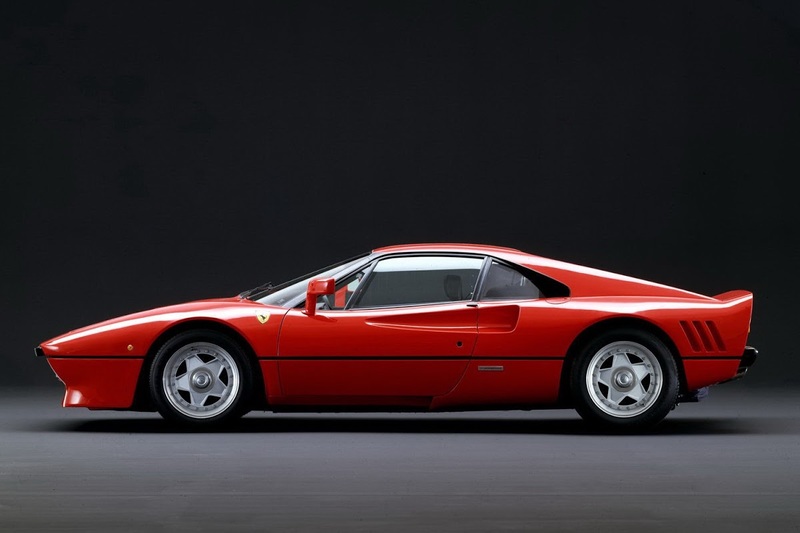 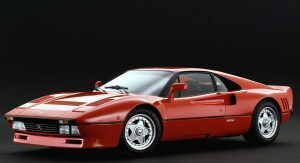 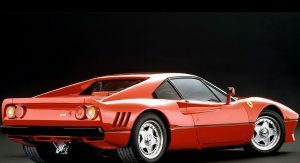 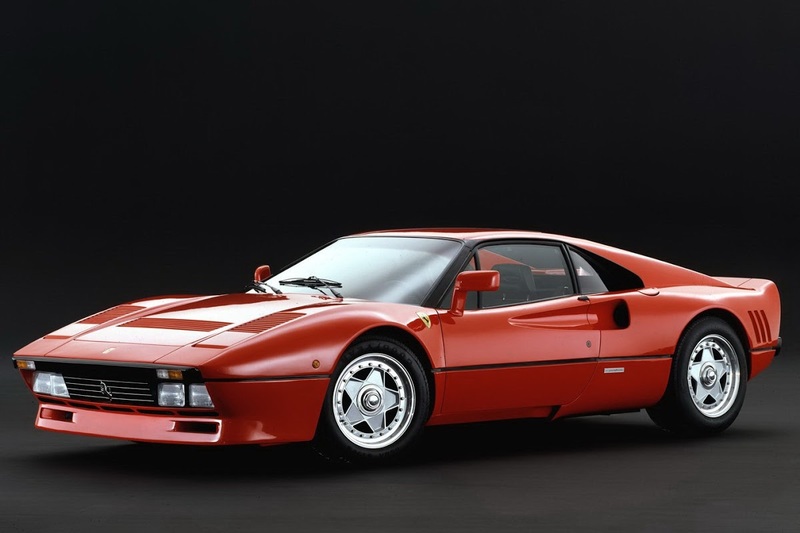 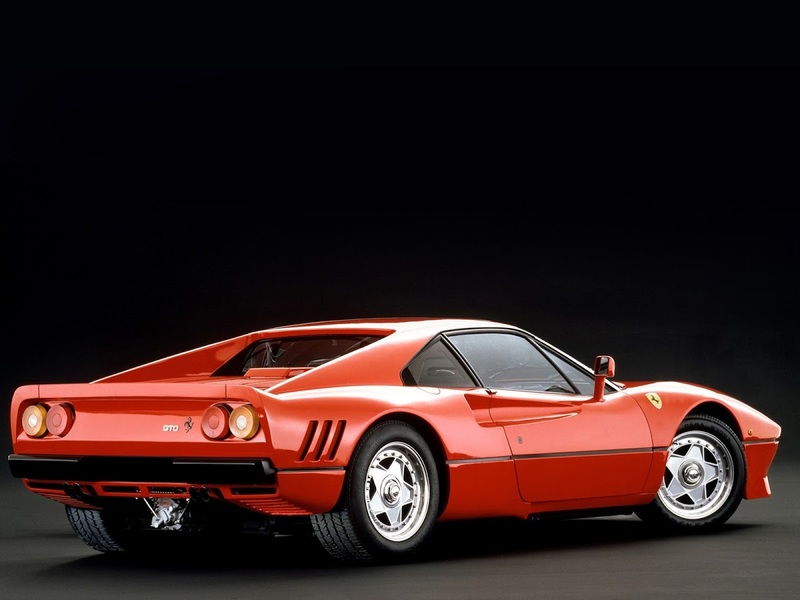 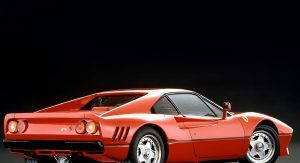 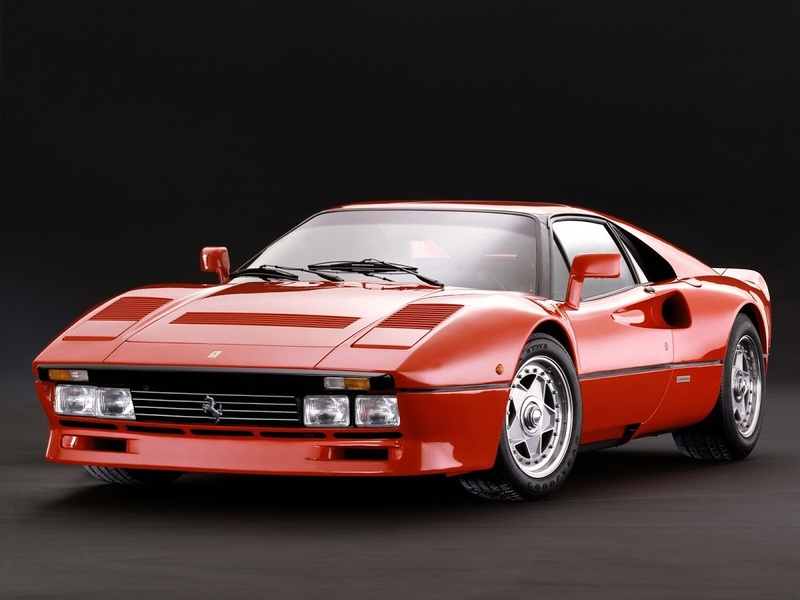 As Pininfarina designer Lorenzo Fioravanti put it, the 288 GTO was “the mother” of the “special” that would follow. 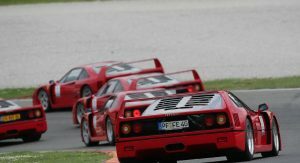 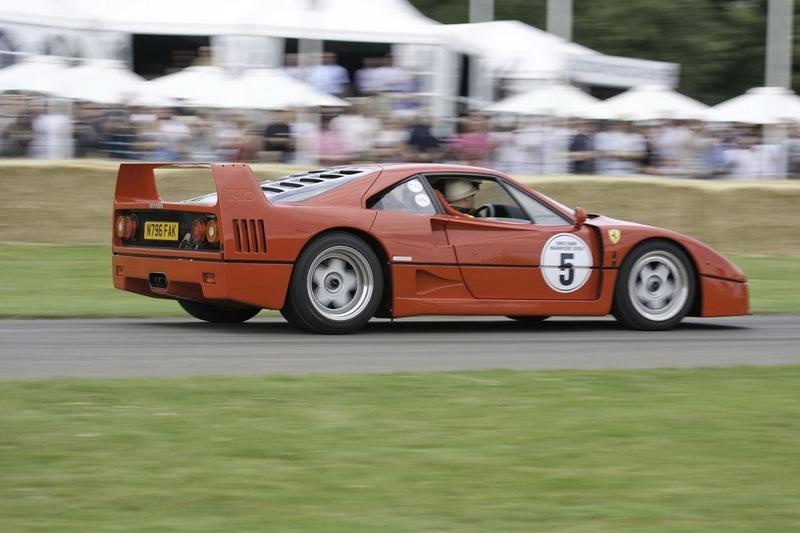 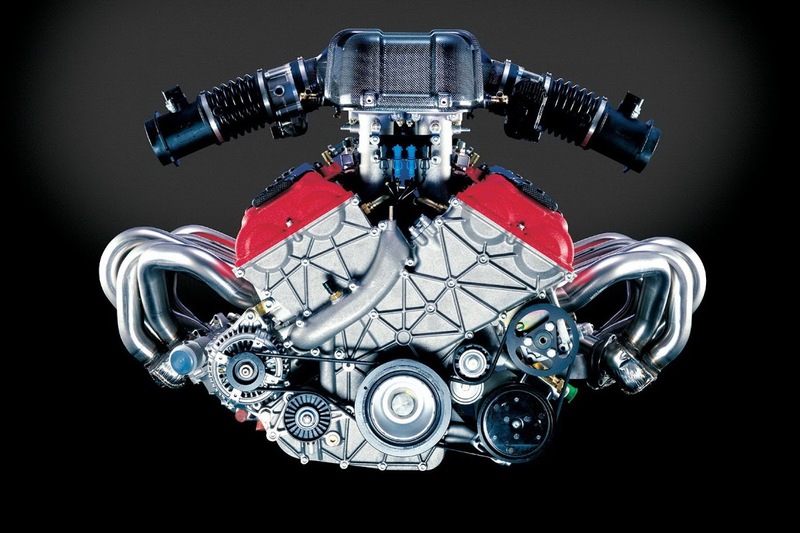 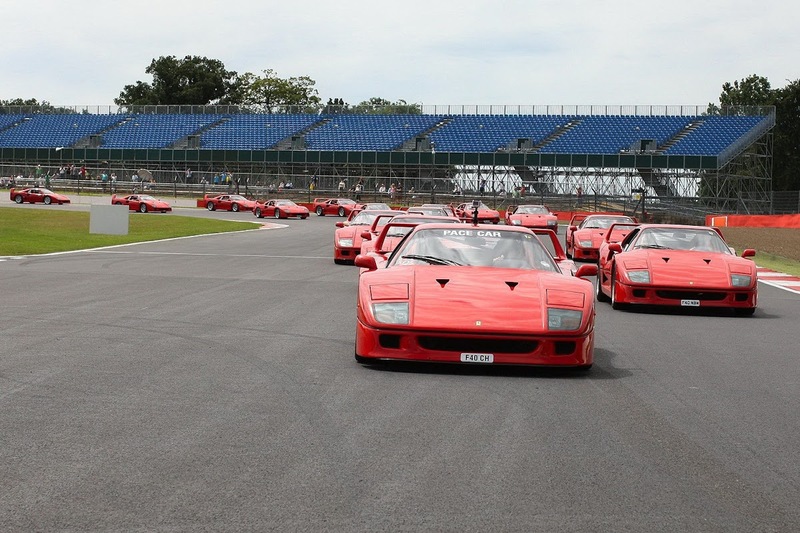 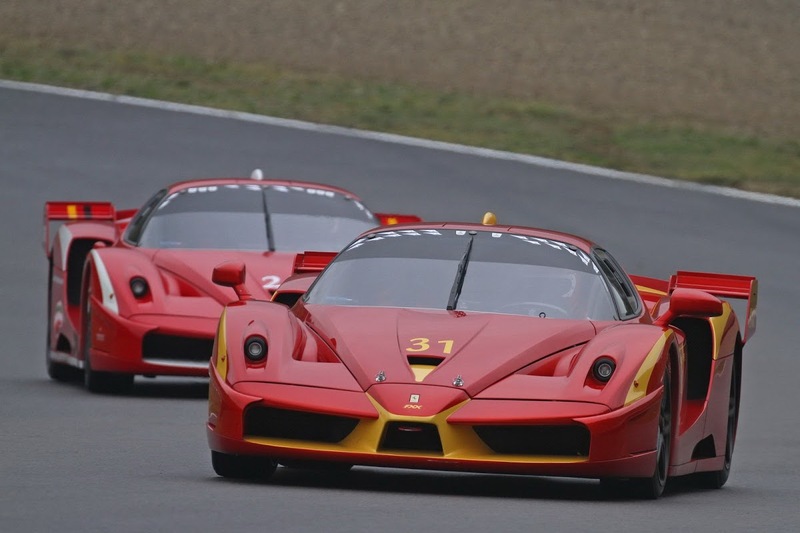 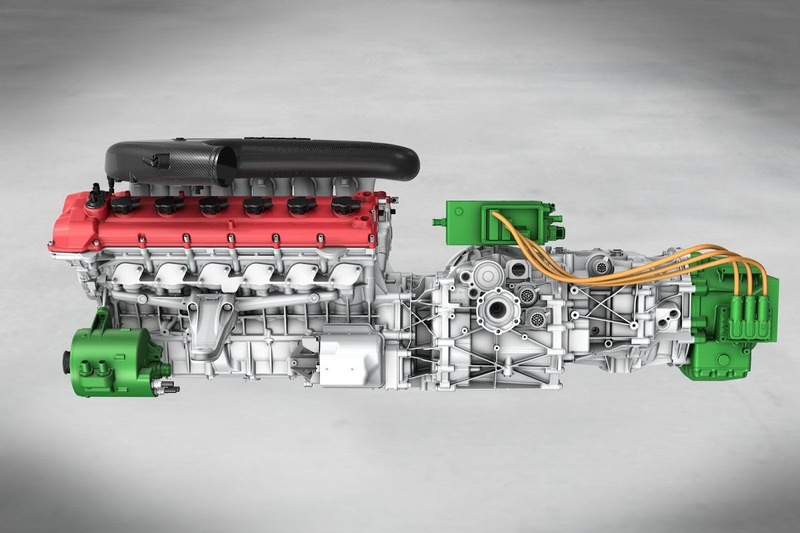 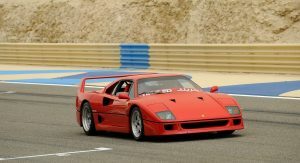 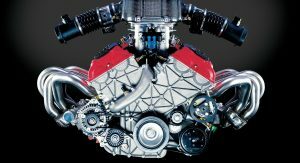 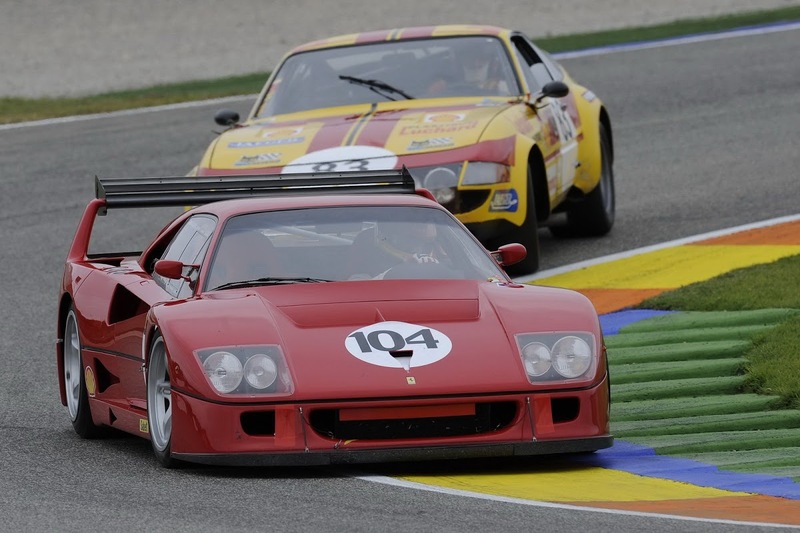 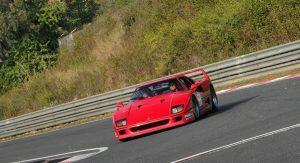 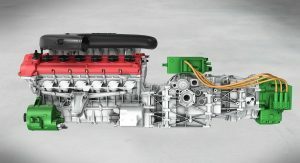 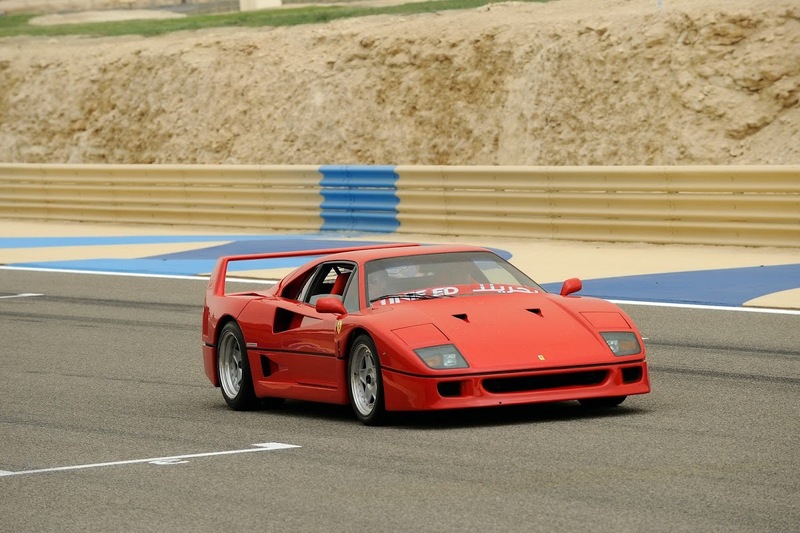 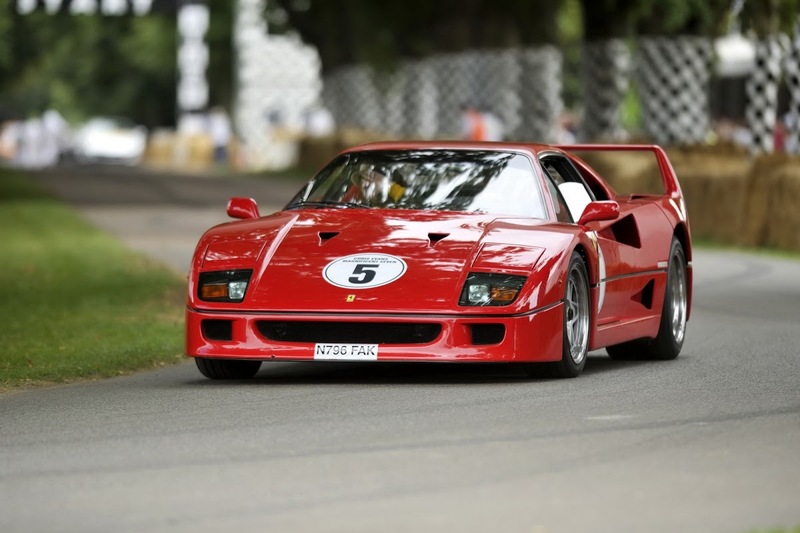 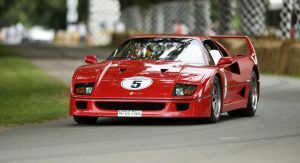 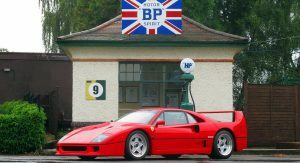 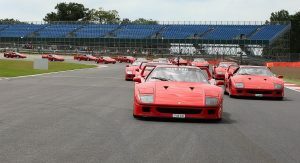 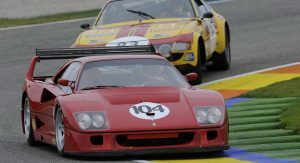 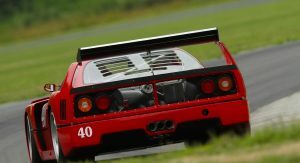 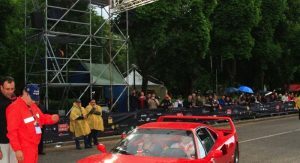 Ferrari’s engineers built on the experience gained from the 288 GTO and the Evoluzione, with the F40 sporting a V8 with twin IHI turbochargers. 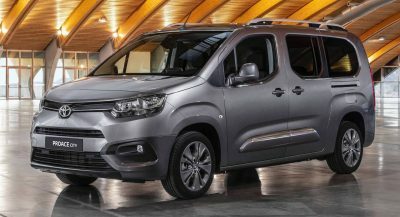 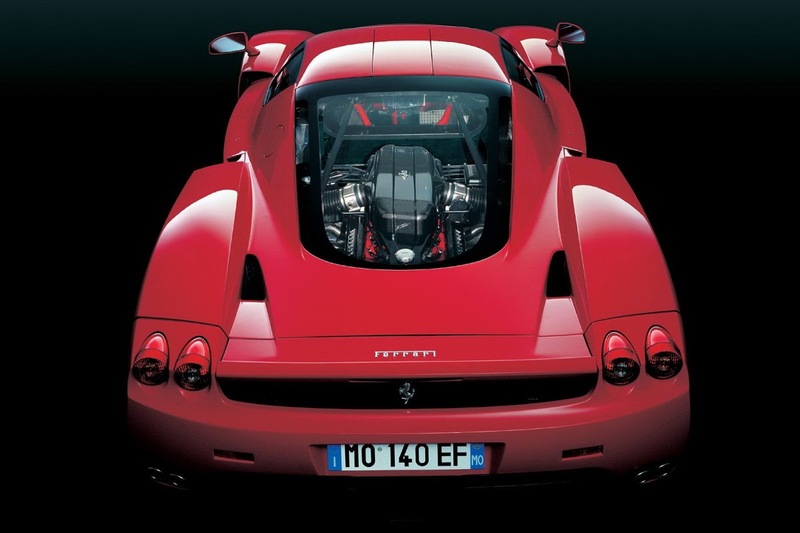 Capacity was up to 2.9 liters, with maximum output climbing to 471HP. 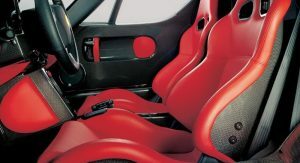 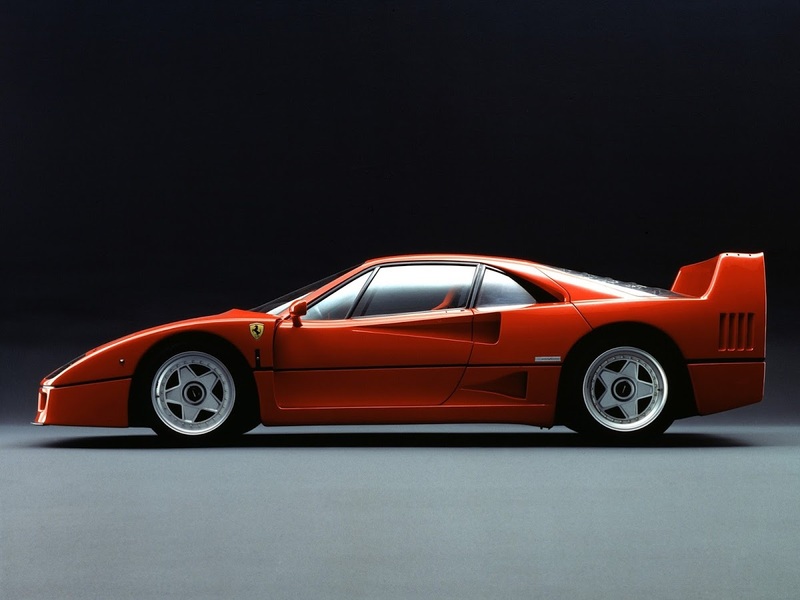 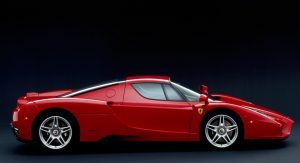 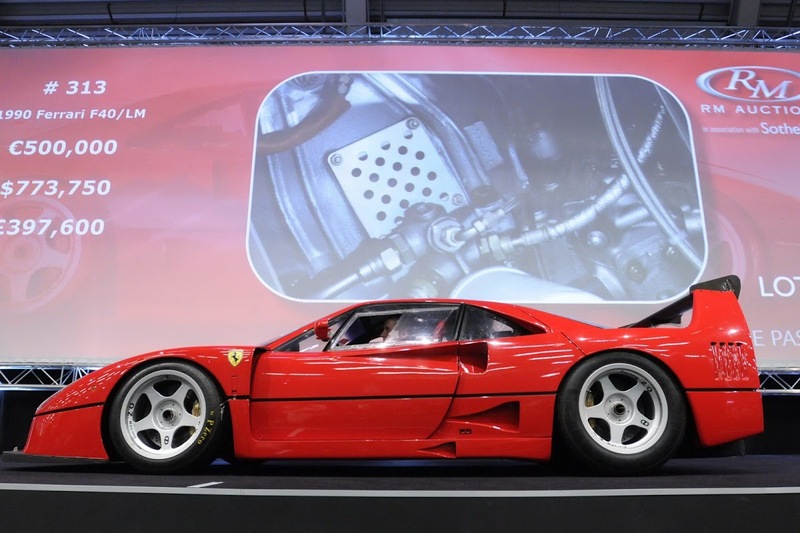 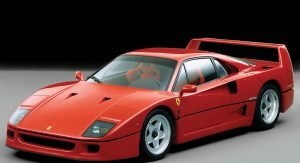 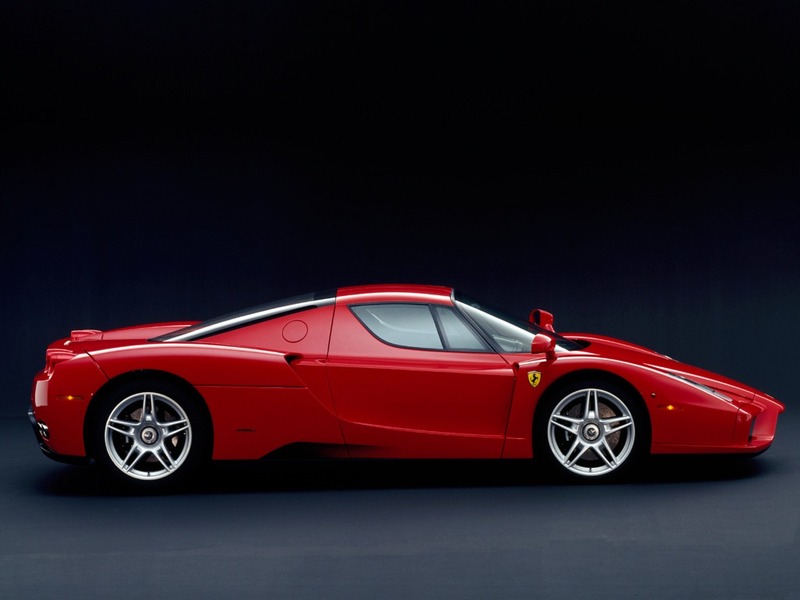 Along with a weight of just 1,100 kg (2,425 pounds) thanks to the extensive use of carbon fiber and Kevlar, and the much improved aerodynamics of its Pininfarina-designed, wedge-shaped bodywork, the F40 became the first production car to break the 200 mph (320 km/h) barrier. 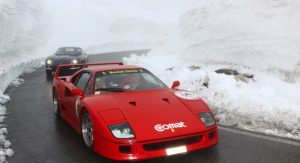 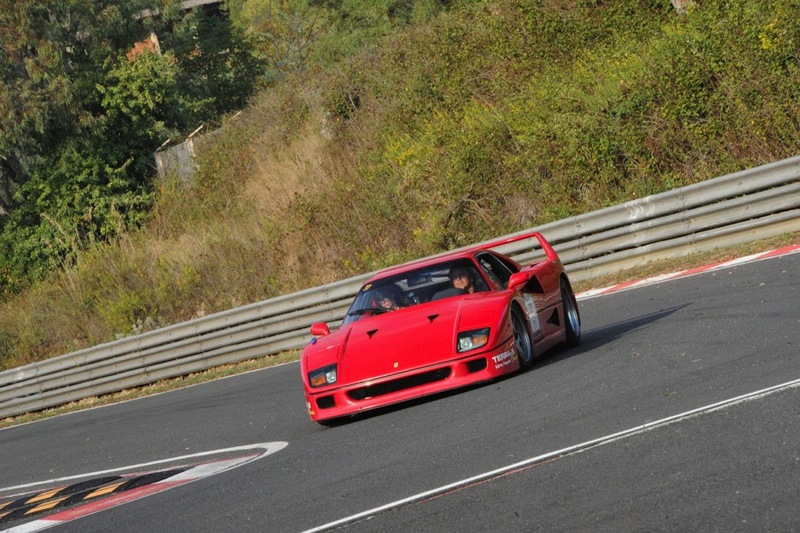 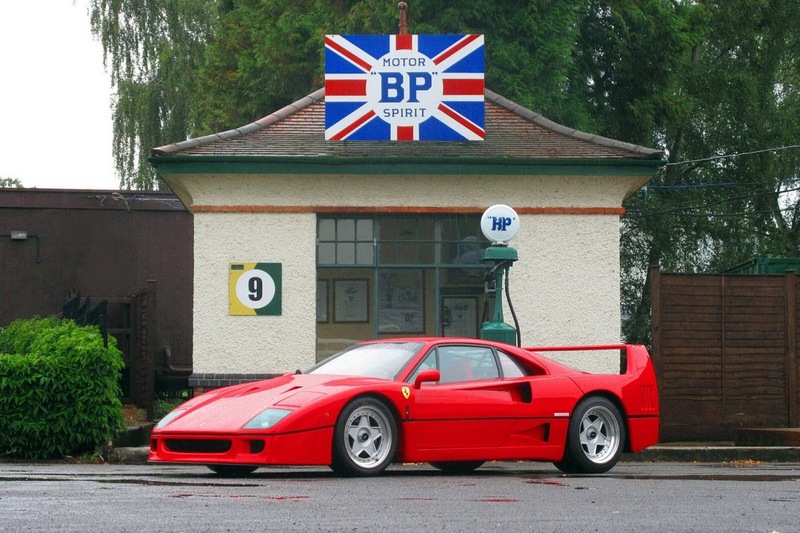 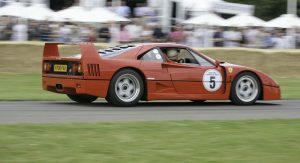 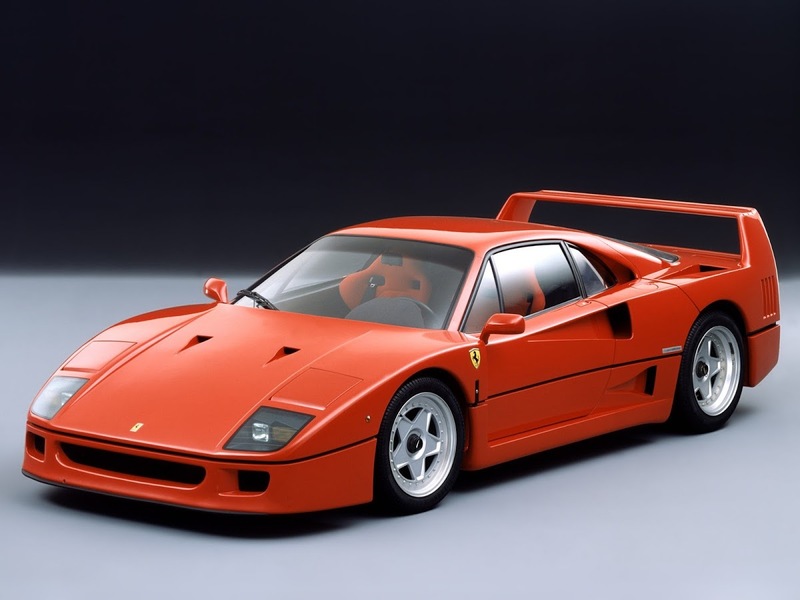 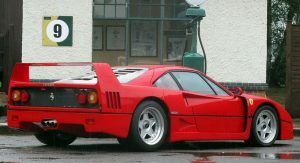 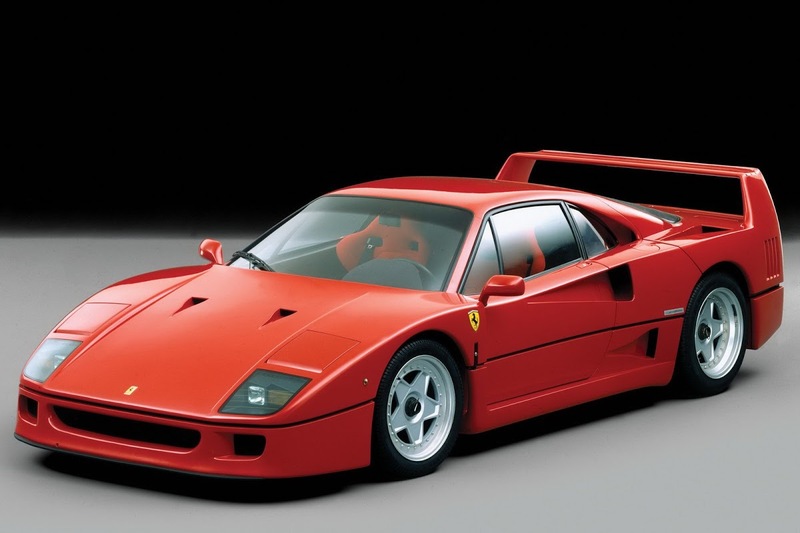 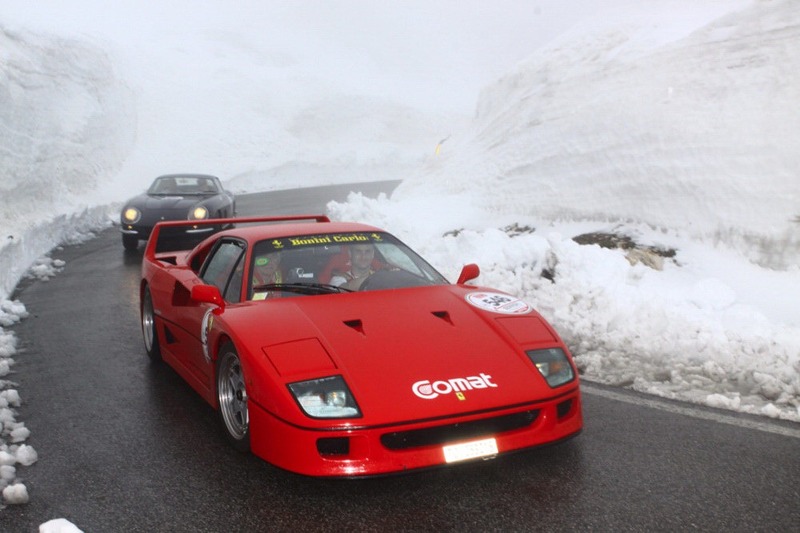 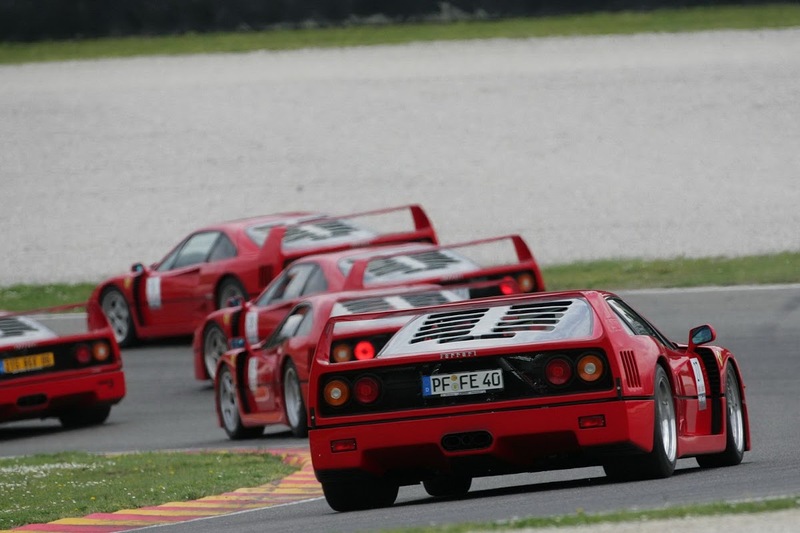 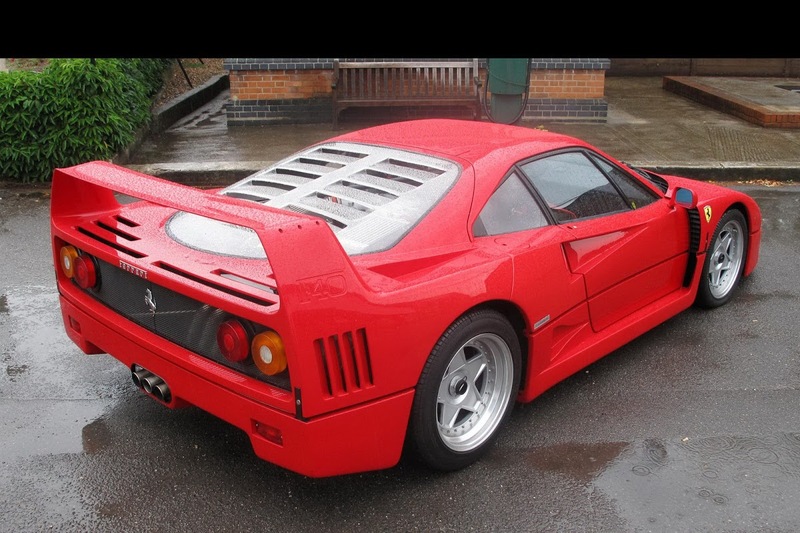 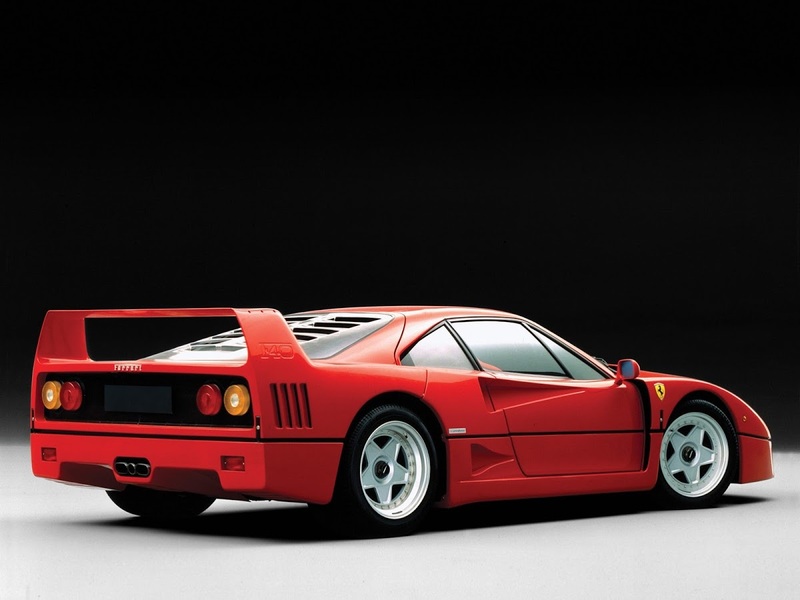 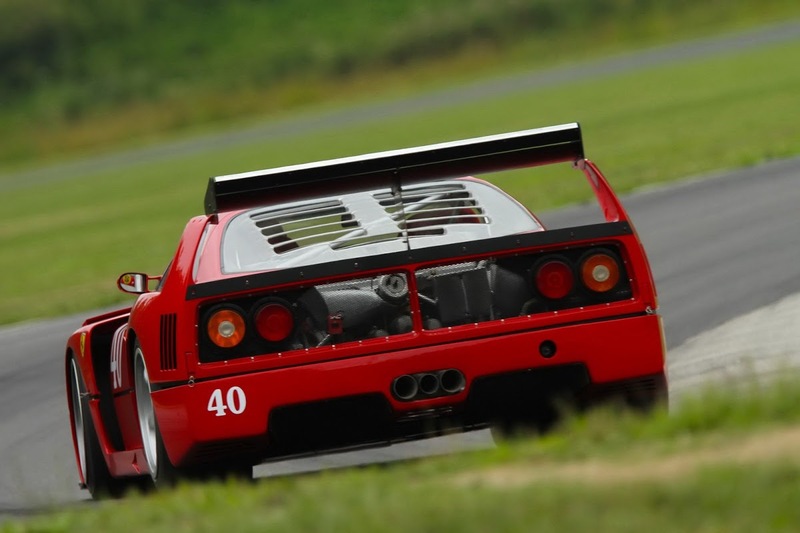 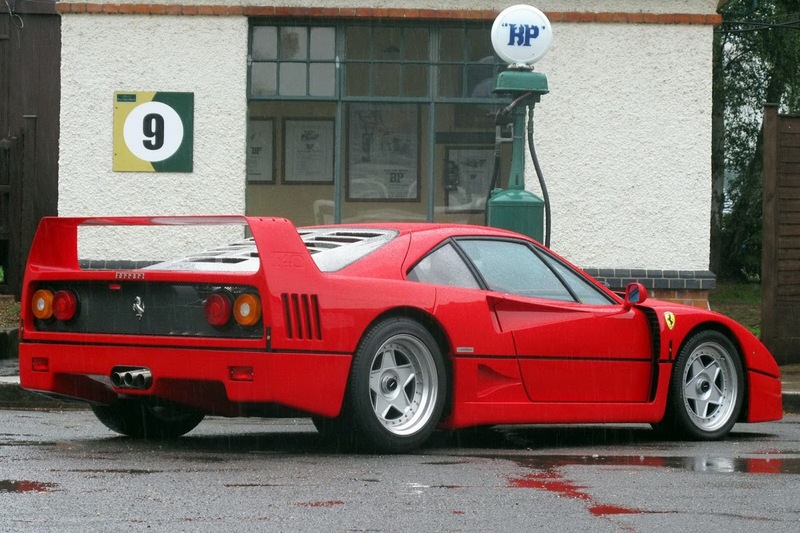 The F40 was the last Ferrari ever to be developed before Enzo’s death in 1988. 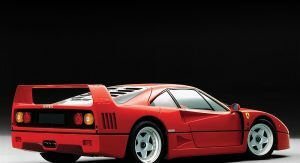 It remained in production until 1992, sold 1,315 units, all of them in red, and today is considered by many to be the greatest supercar of all times. 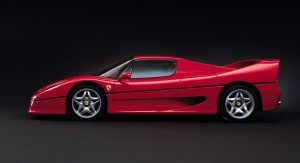 Unlike the vaunted F40, the F50 that was introduced in 1995 to coincide with Ferrari’s 50th anniversary wasn’t liked that much. 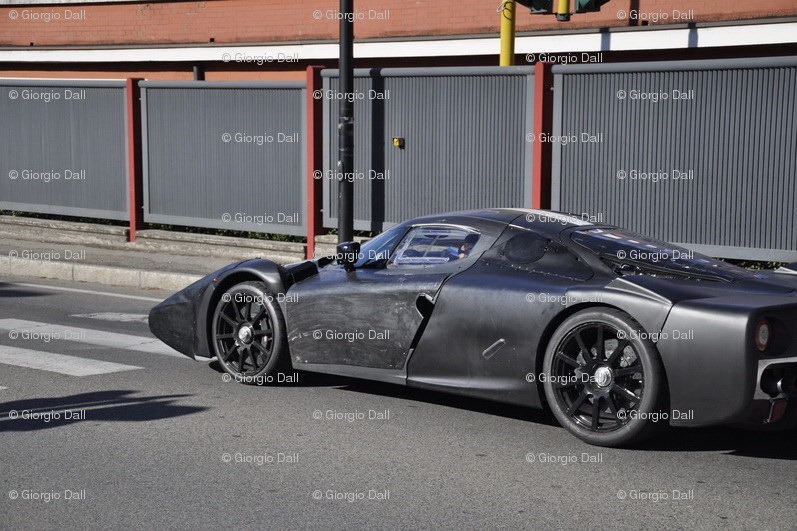 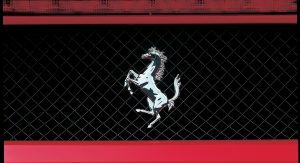 Maybe that’s because the powers-that-be at Maranello decided to adopt a different recipe for it. 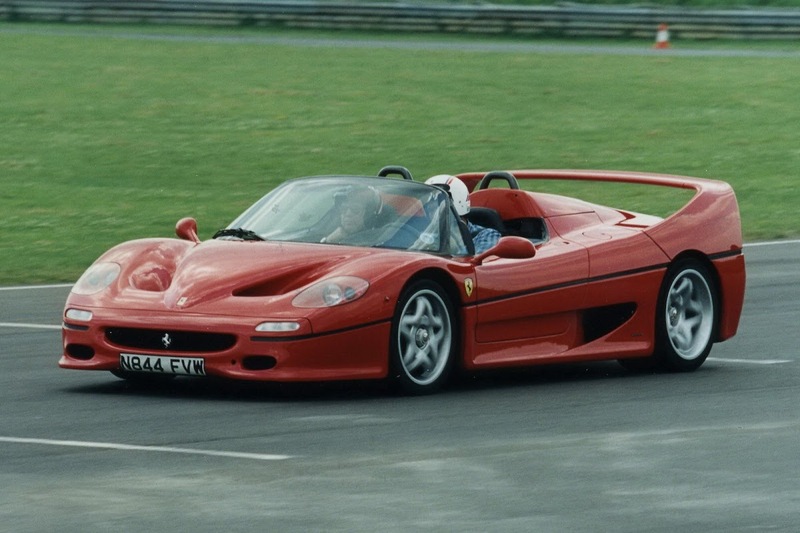 First of all, it was a barchetta, i.e. 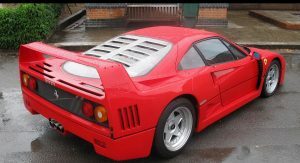 it had a removable hardtop roof. 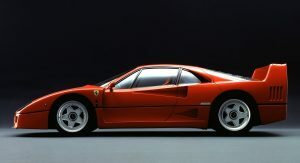 Then, it was its design that eschewed the F40’s wonderful simplicity for a bodywork shaped as much by aerodynamics as by stylists, and probably the fact that Ferrari had decided to stop playing the top speed game, resulting in a v-max that was 6 mph (8 km/h) less than its predecessor. 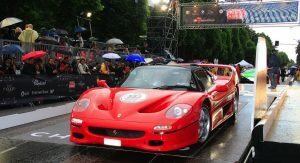 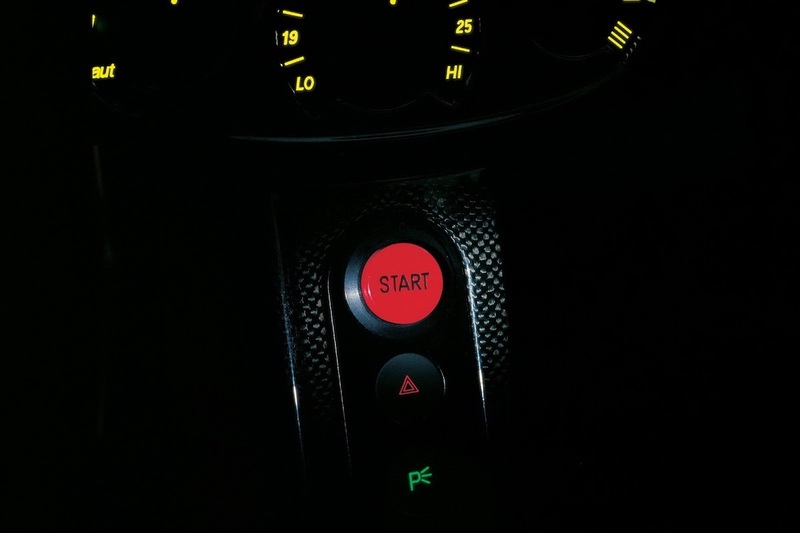 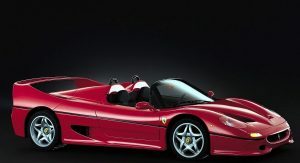 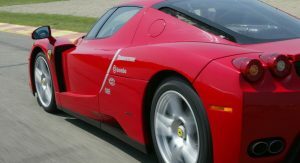 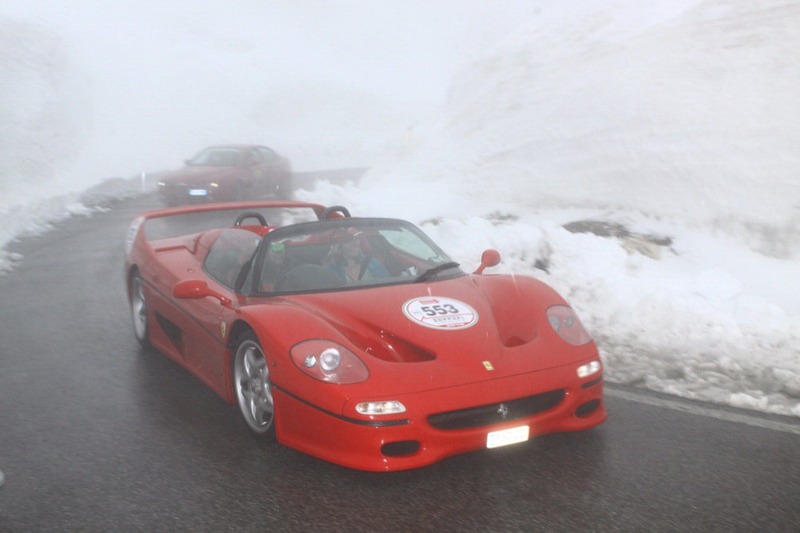 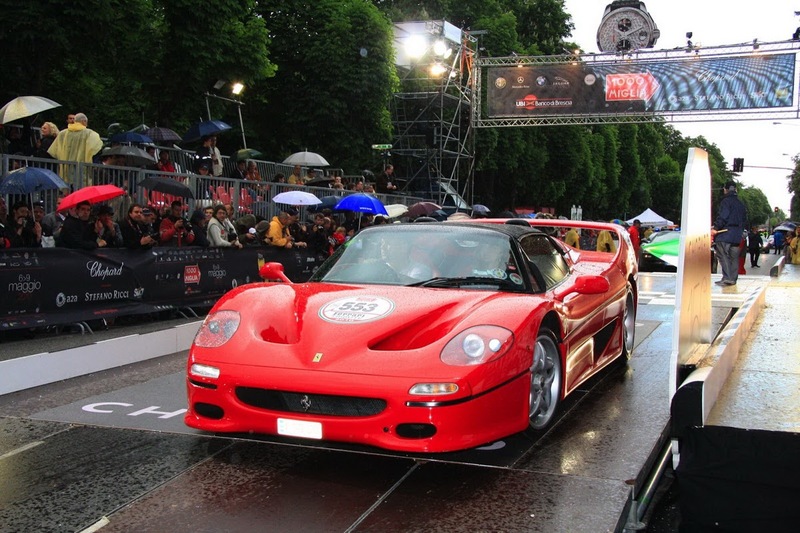 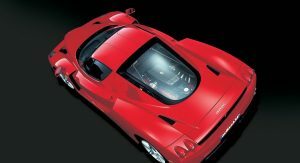 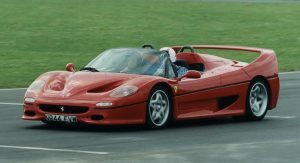 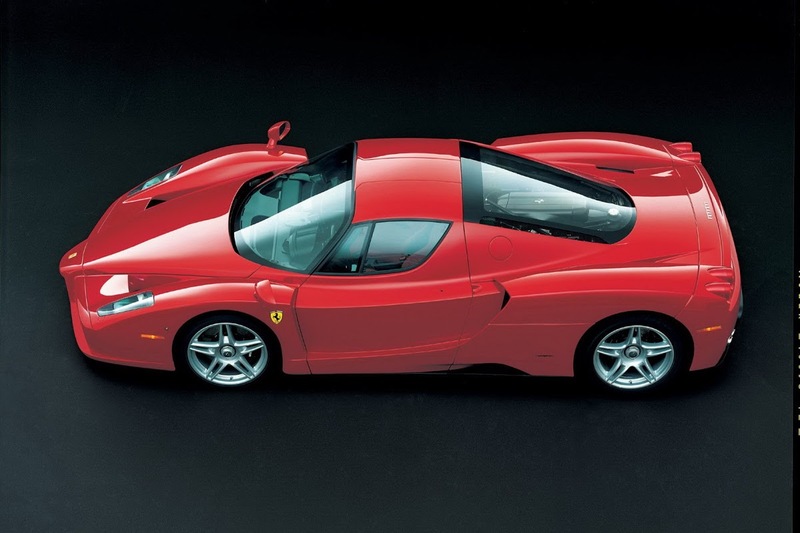 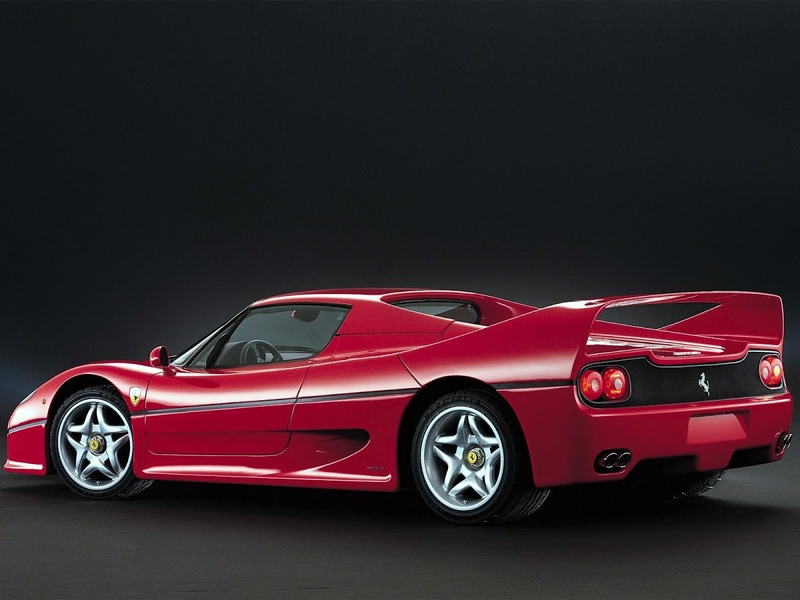 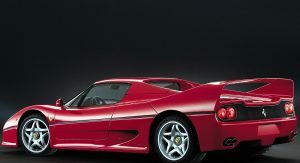 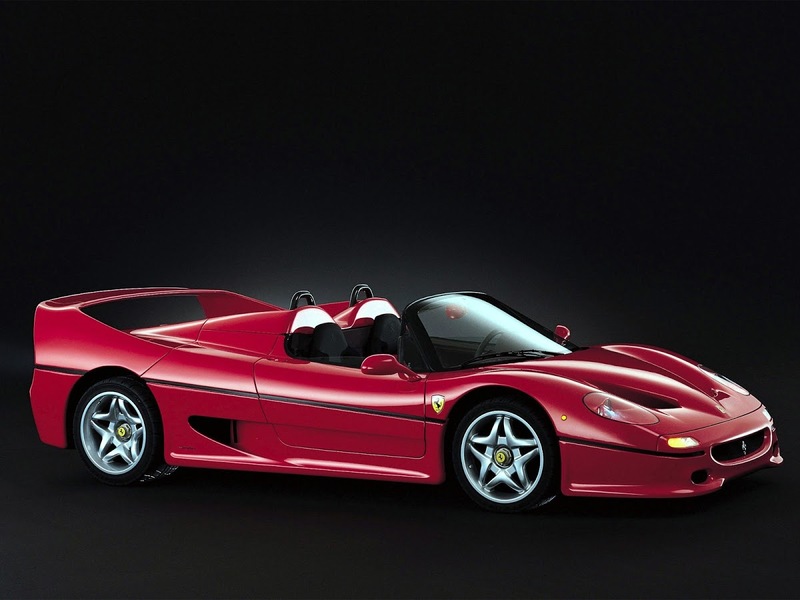 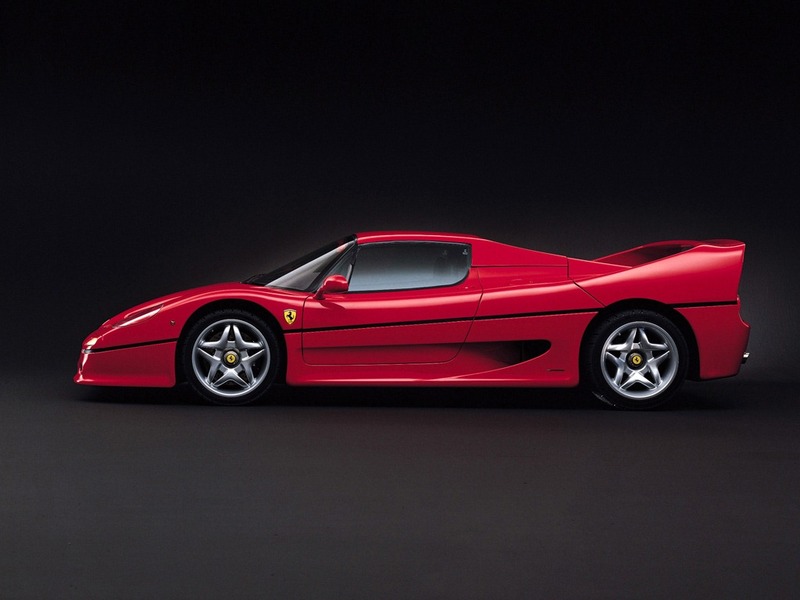 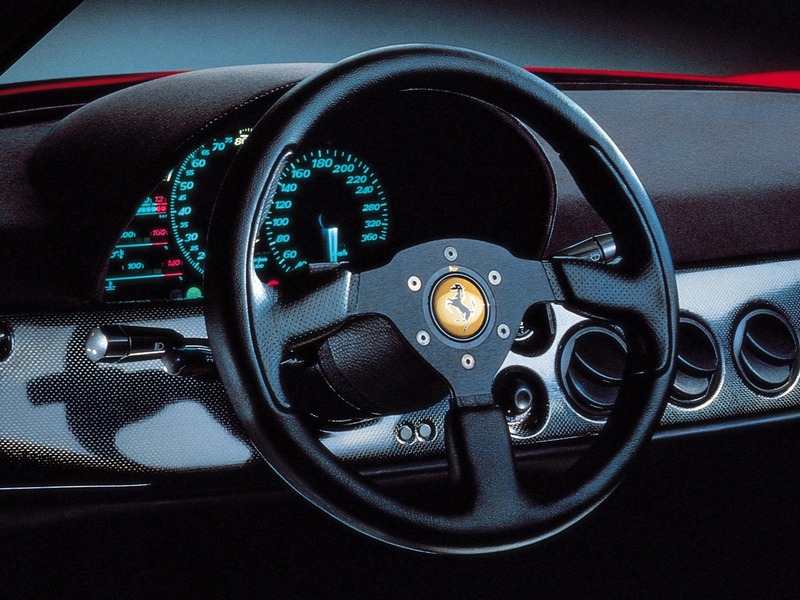 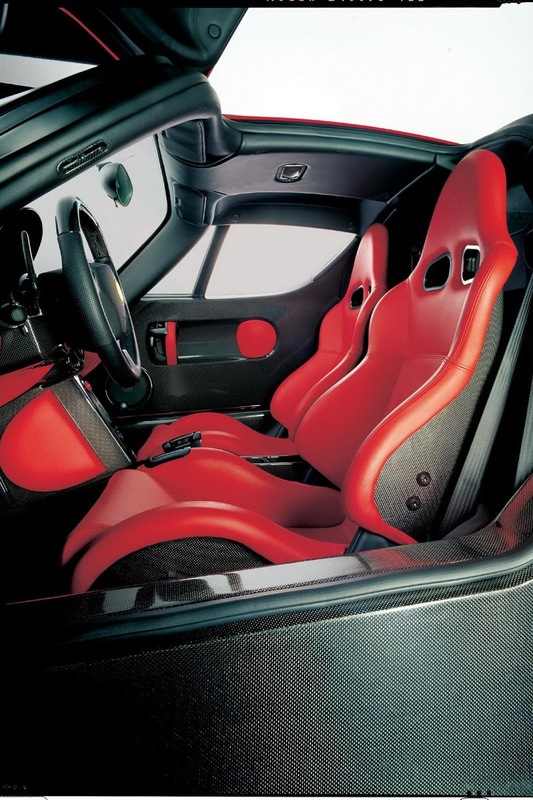 Still, the F50 was the first Ferrari that was directly linked to Formula 1: not only did it sport a tub made entirely out of carbon fiber and an electronically-controlled push-rod suspension, but its 4.7-liter naturally aspirated V12 engine was directly derived from the actual unit used in the 1992 F92A F1 cars driven by Jean Alesi, Ivan Capelli and Nicola Larini and was an integral part of the chassis. 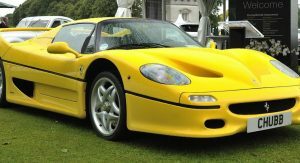 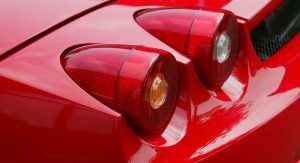 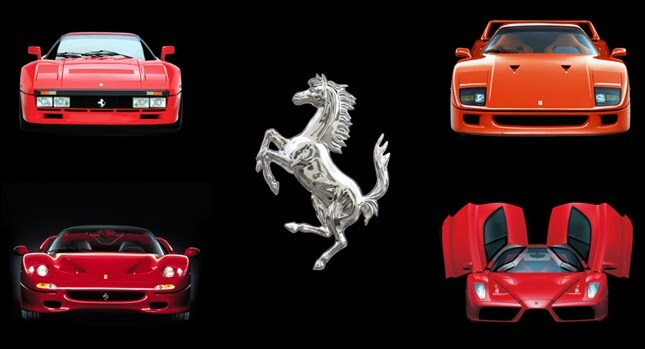 Even though, unlike the F40, you could have your F50 in a choice of five colors (red, dark red, yellow, silver or black), only 349 were produced until 1997, when production stopped. 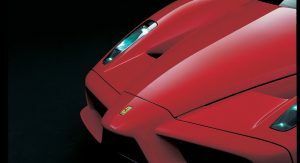 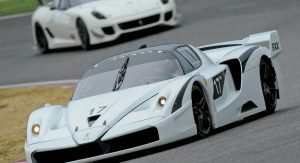 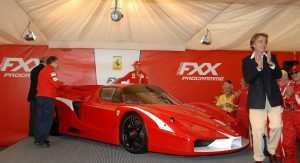 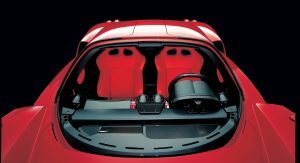 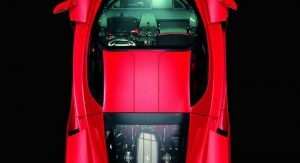 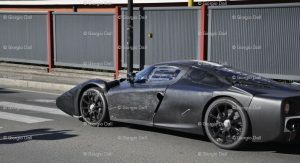 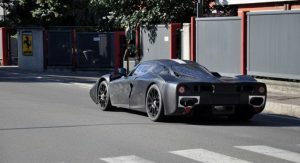 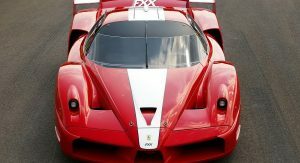 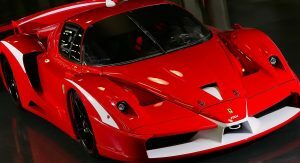 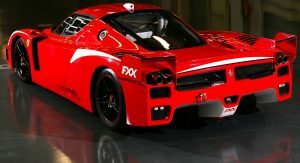 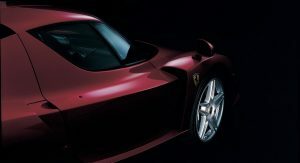 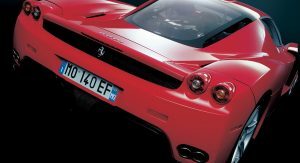 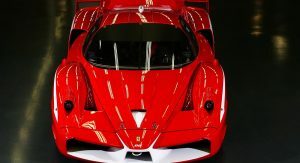 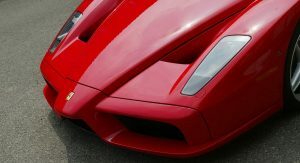 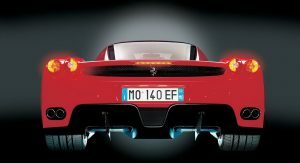 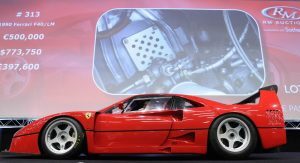 Ferrari pushed on with the Formula 1 connection even more with the successor to the F50, a car that was deemed exceptional enough to be named after Enzo Ferrari himself. 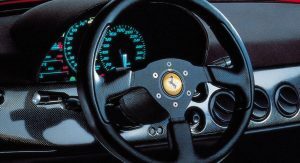 Production was initially scheduled to stop at 349 units that were already sold before the first car rolled off the Maranello assembly line. 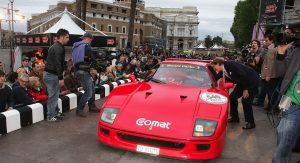 A further 50 units were added, bringing the total to 399, all built in 2003, although another one was built in 2004 and donated to Vatican for charity, bringing the total to a round 400. 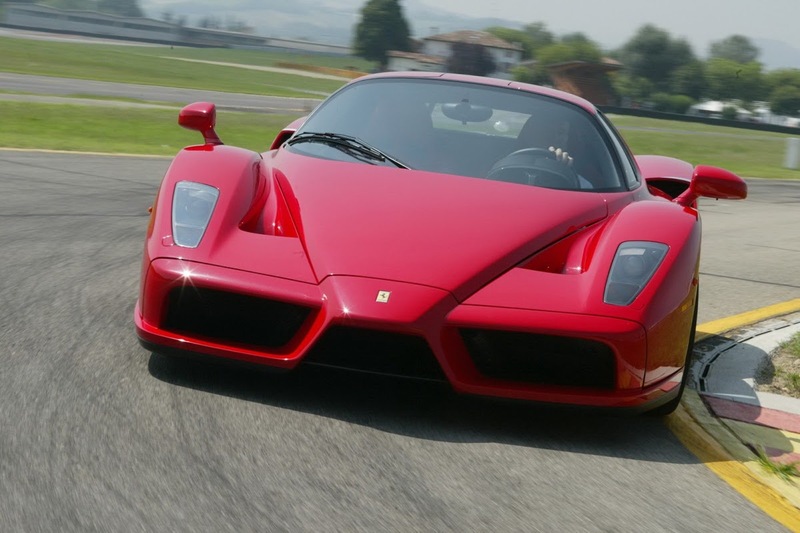 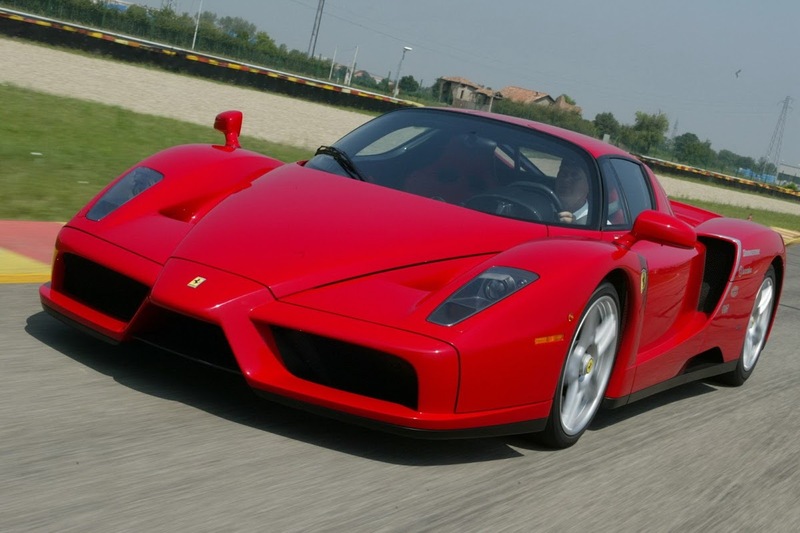 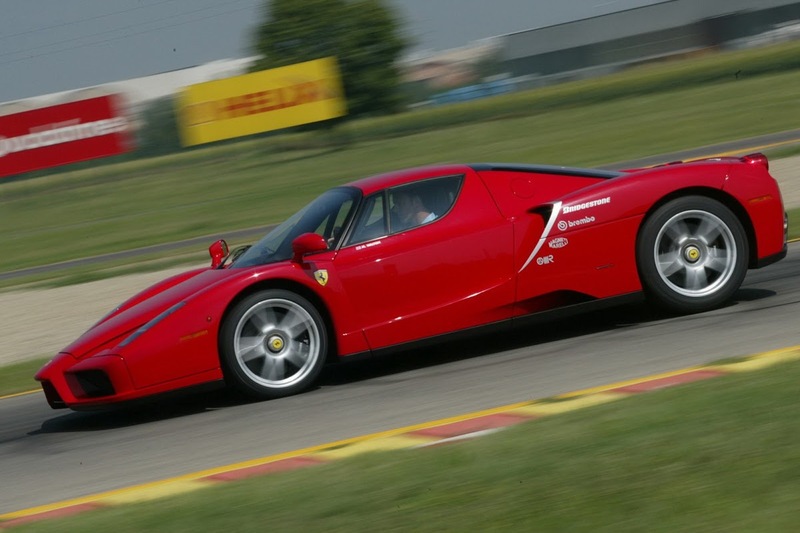 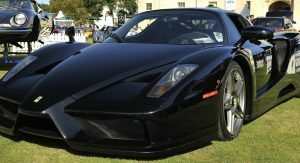 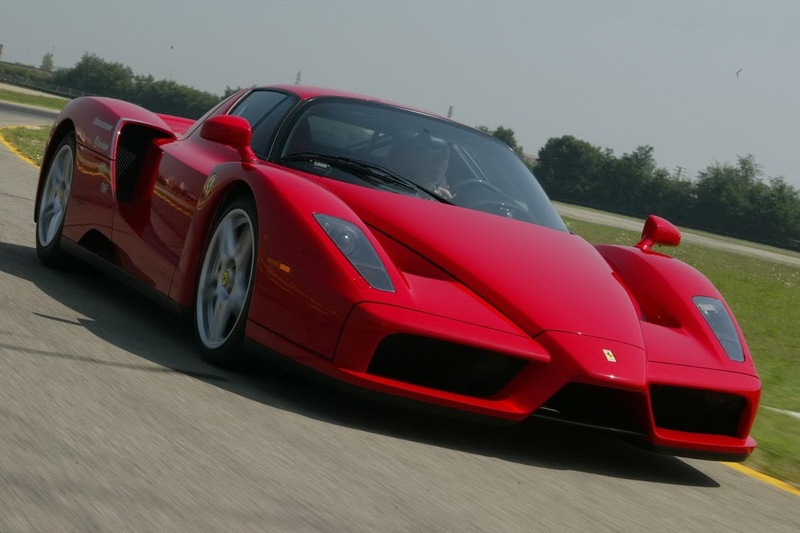 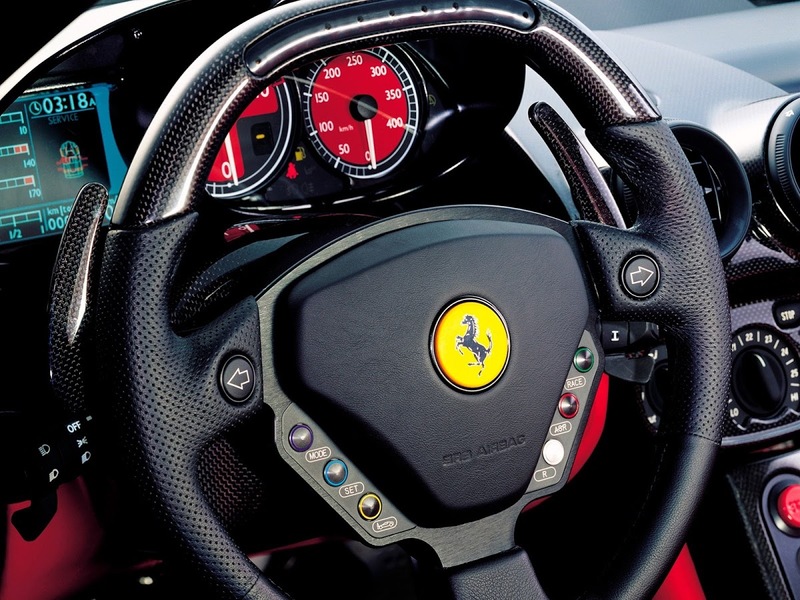 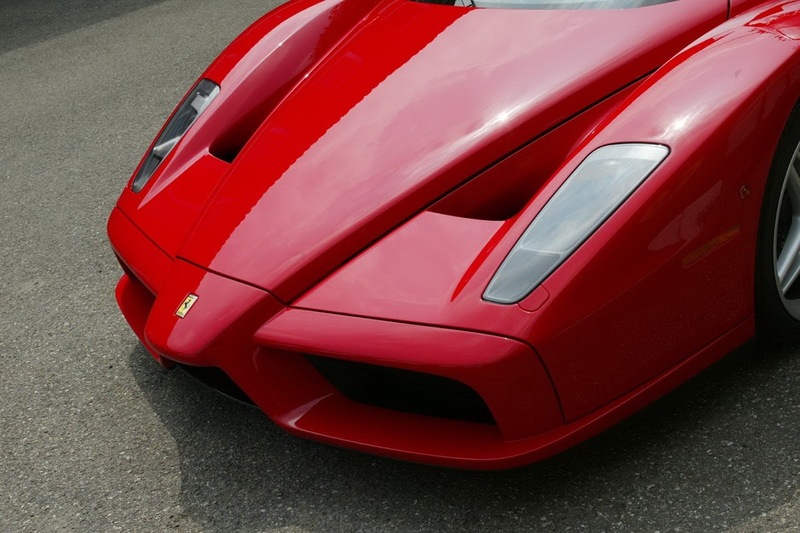 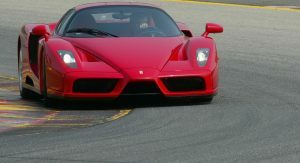 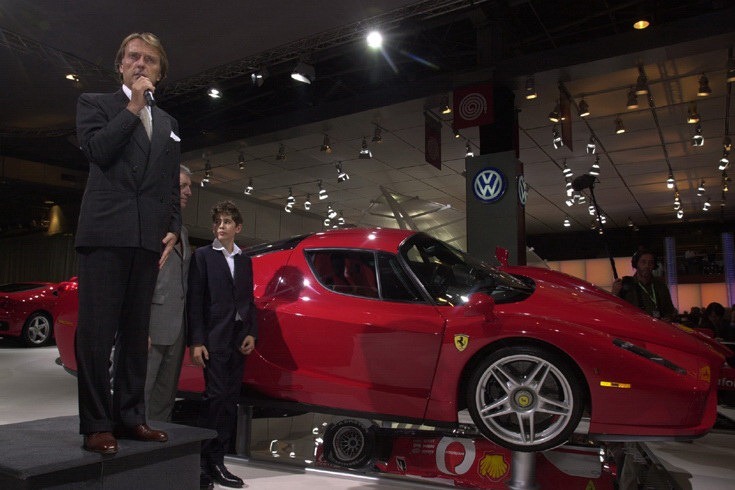 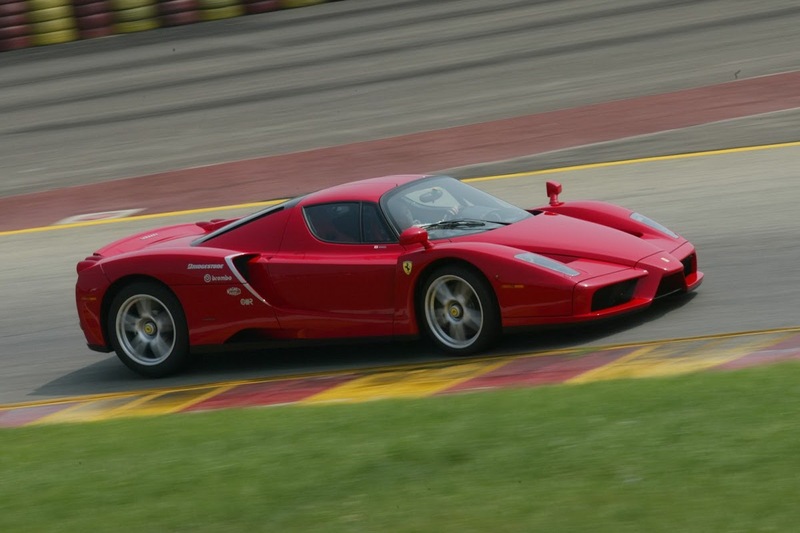 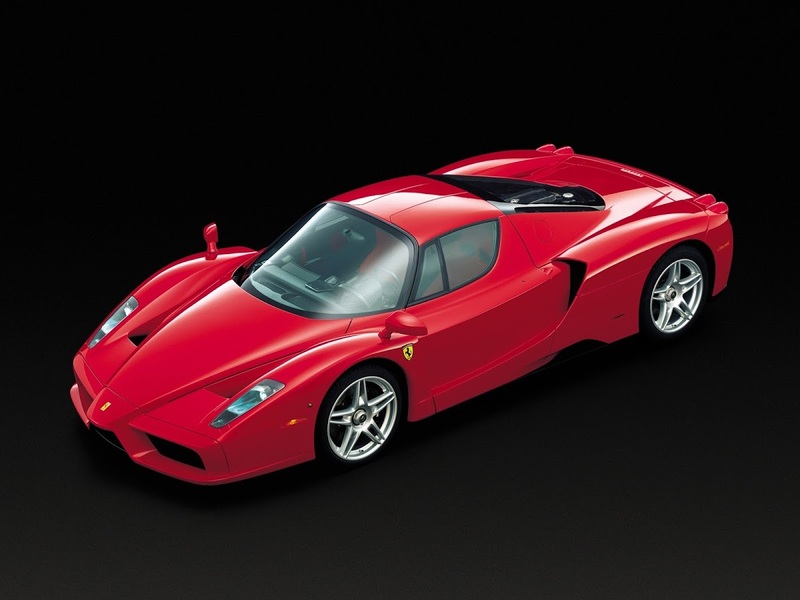 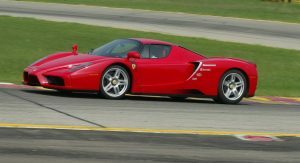 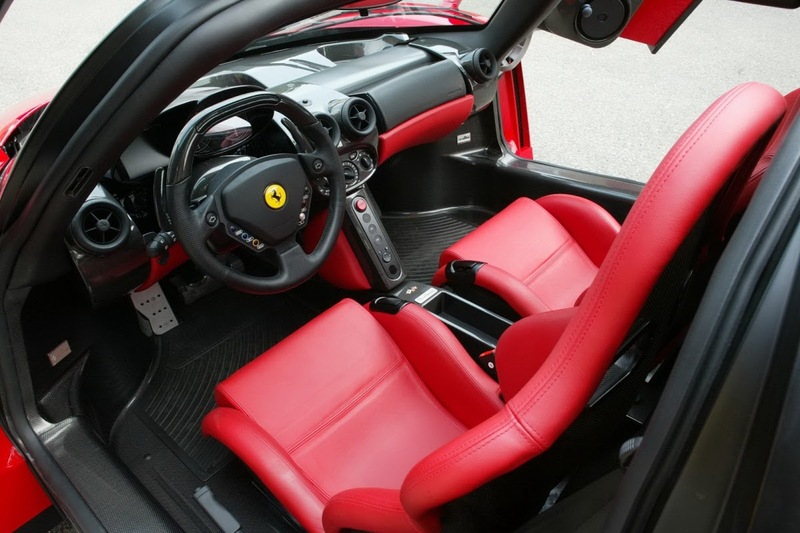 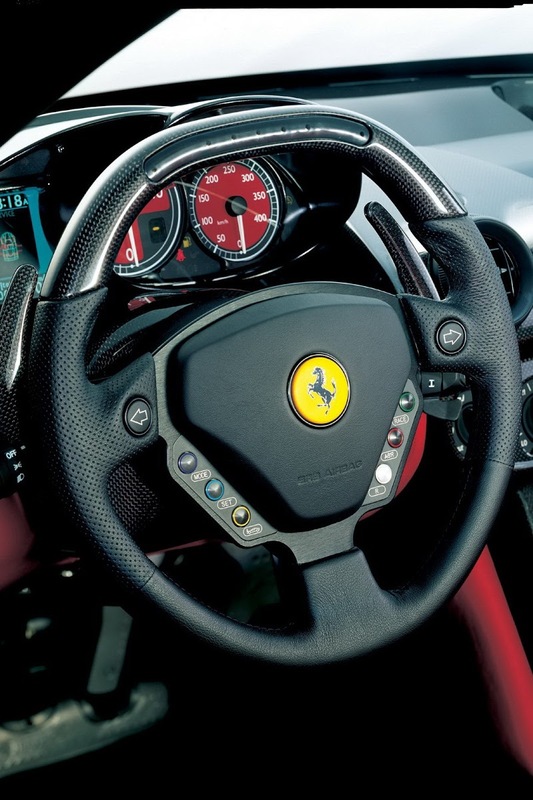 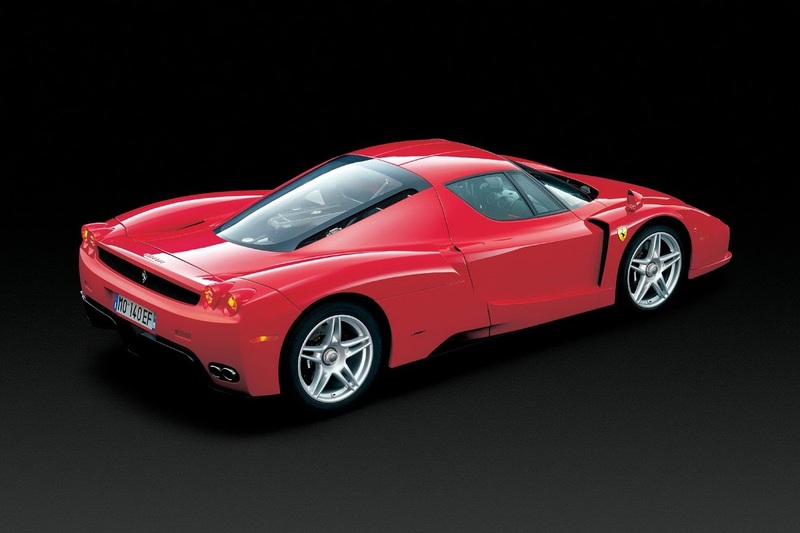 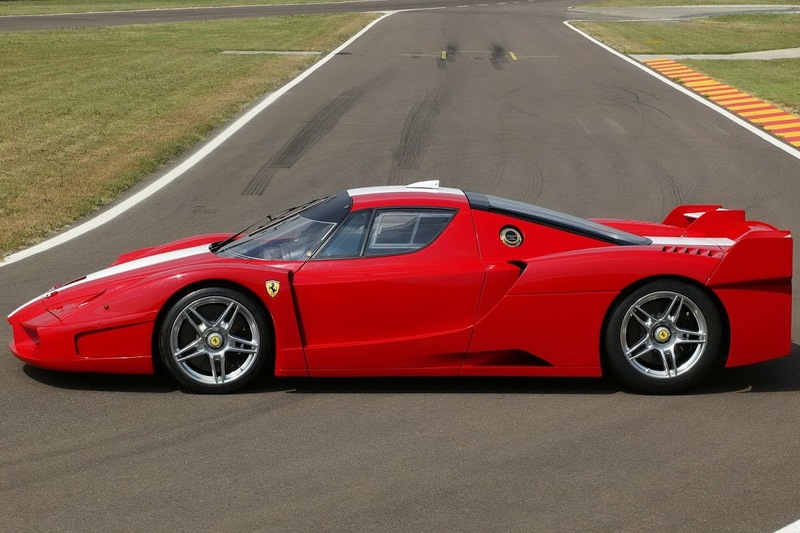 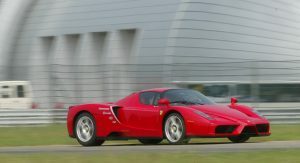 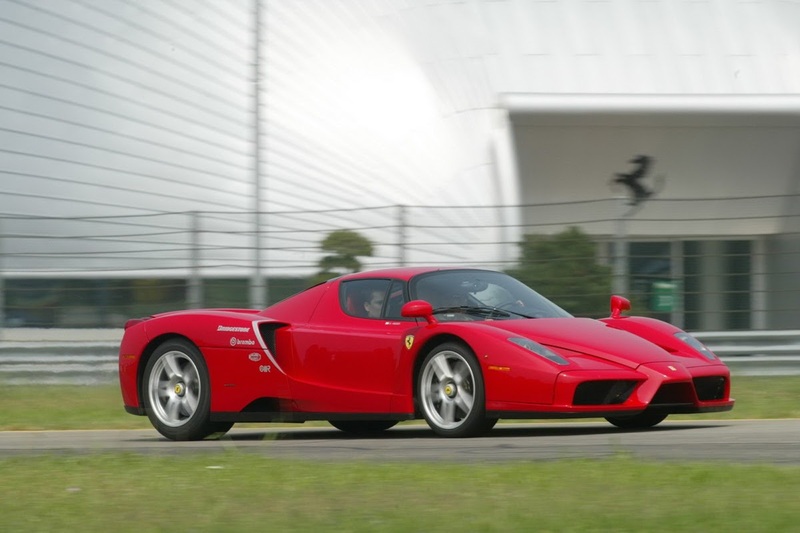 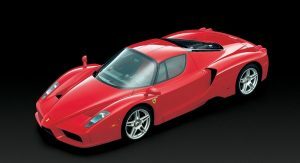 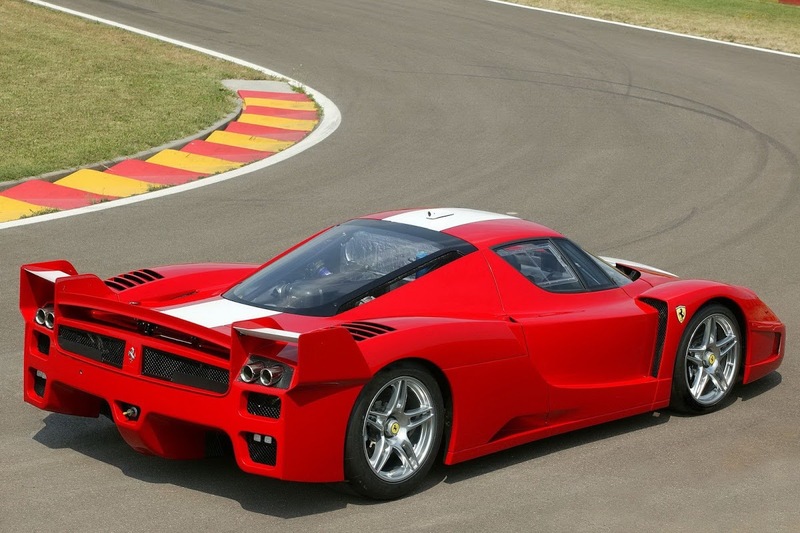 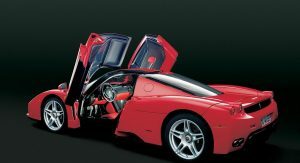 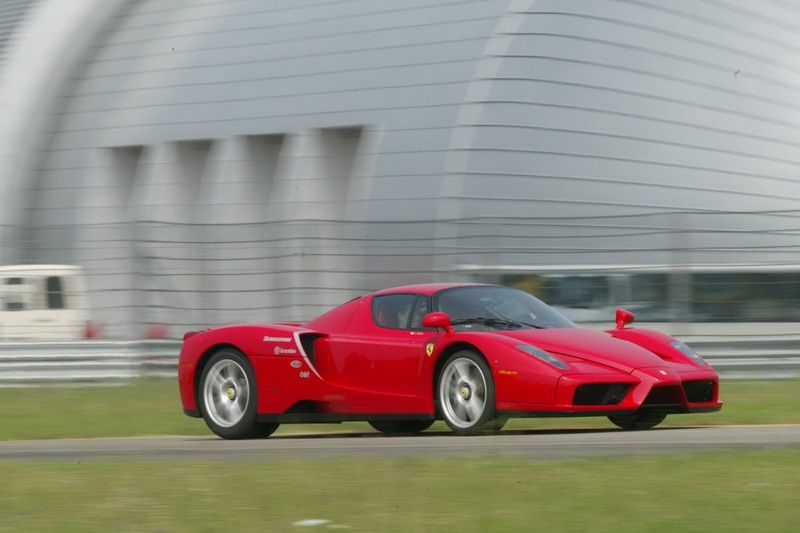 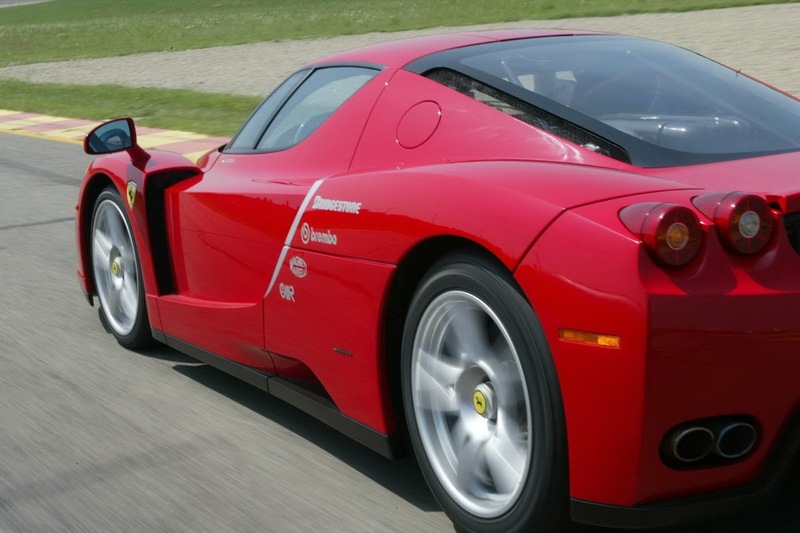 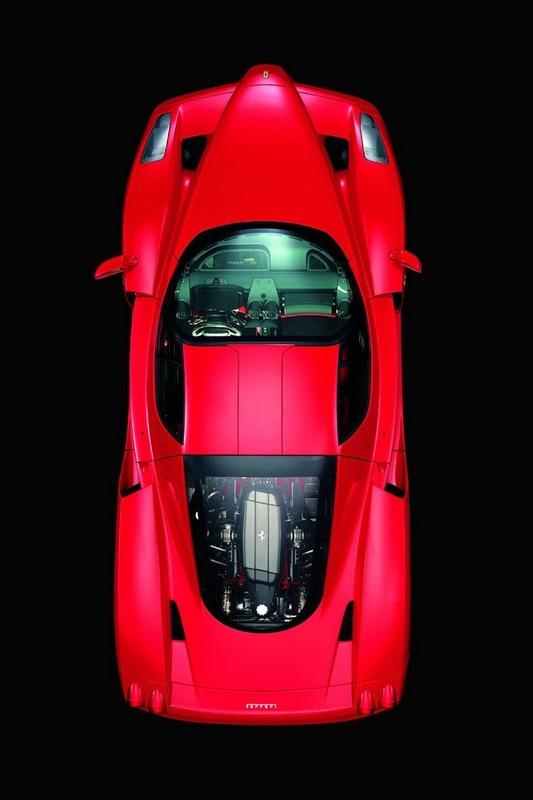 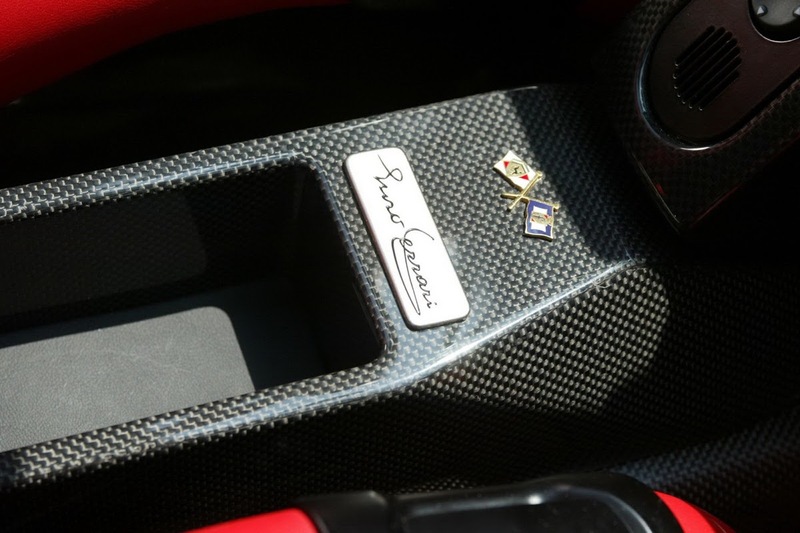 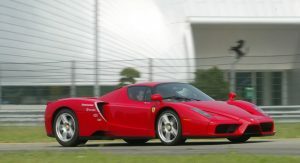 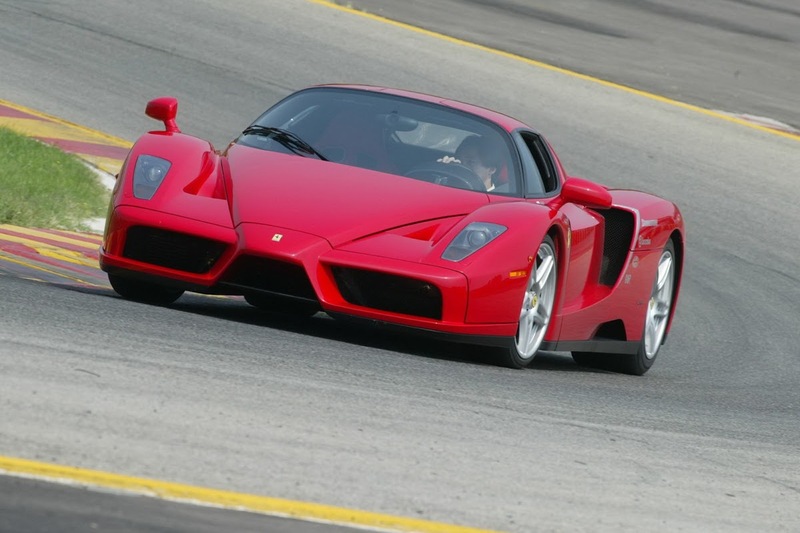 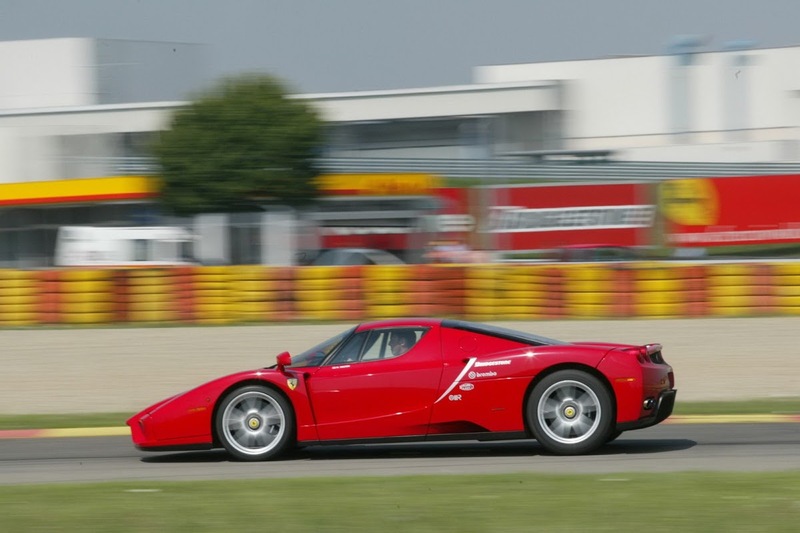 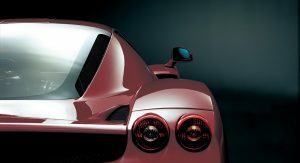 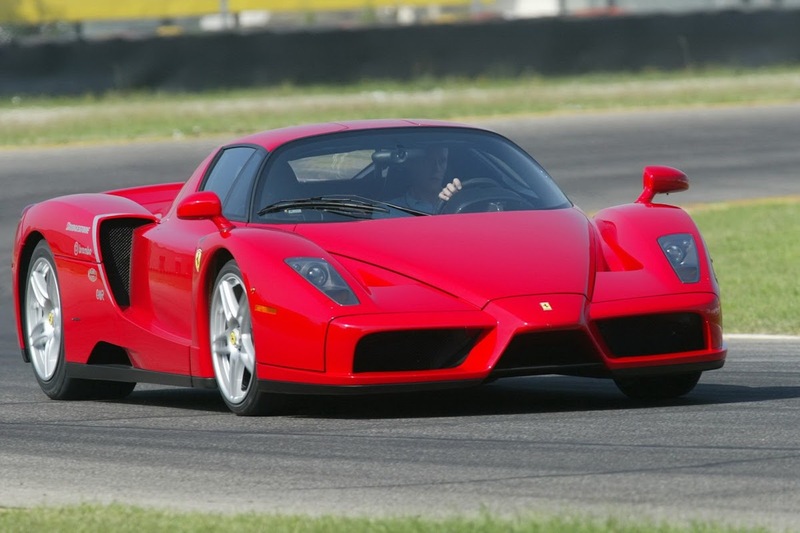 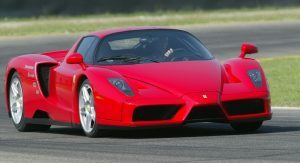 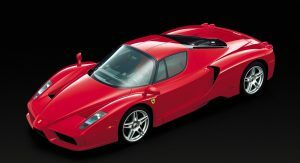 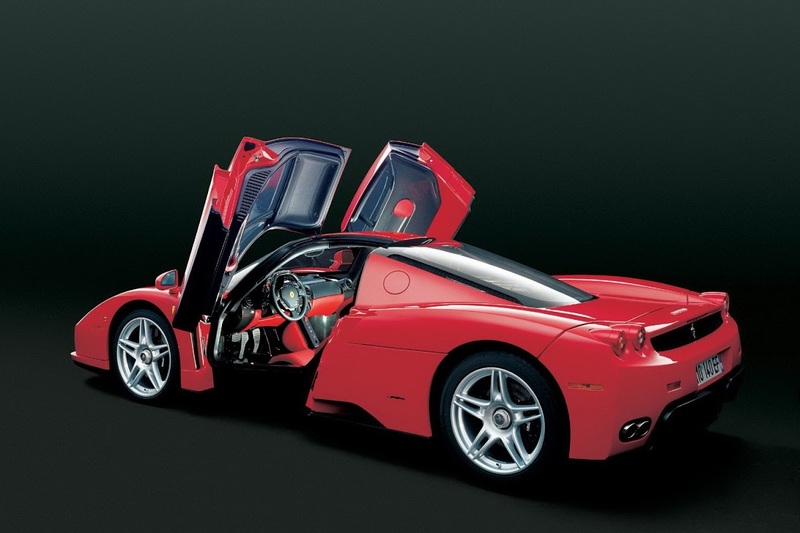 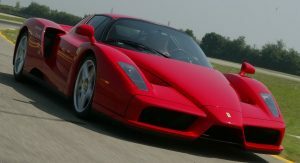 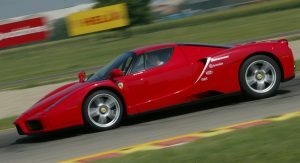 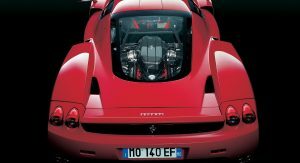 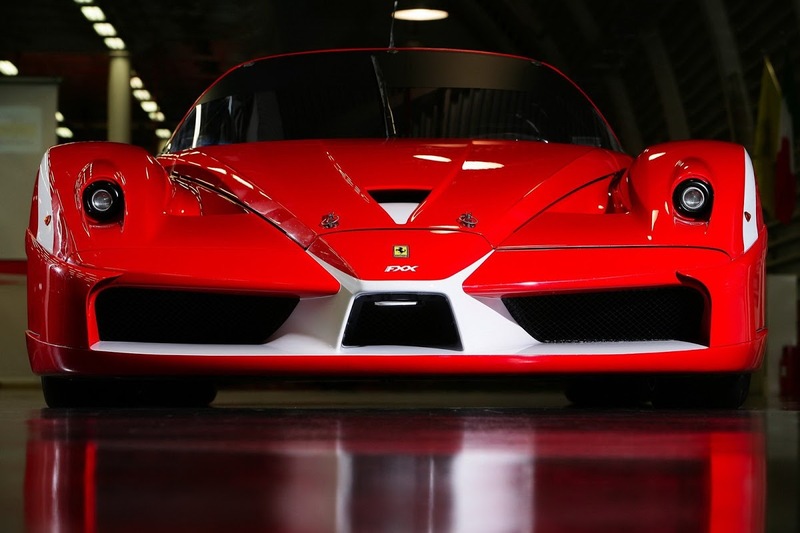 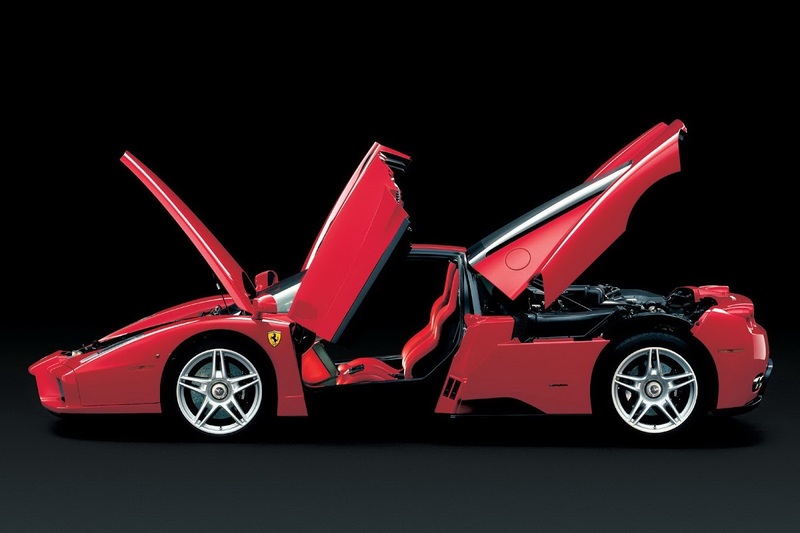 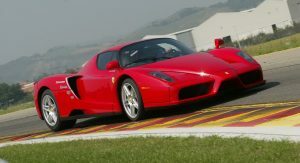 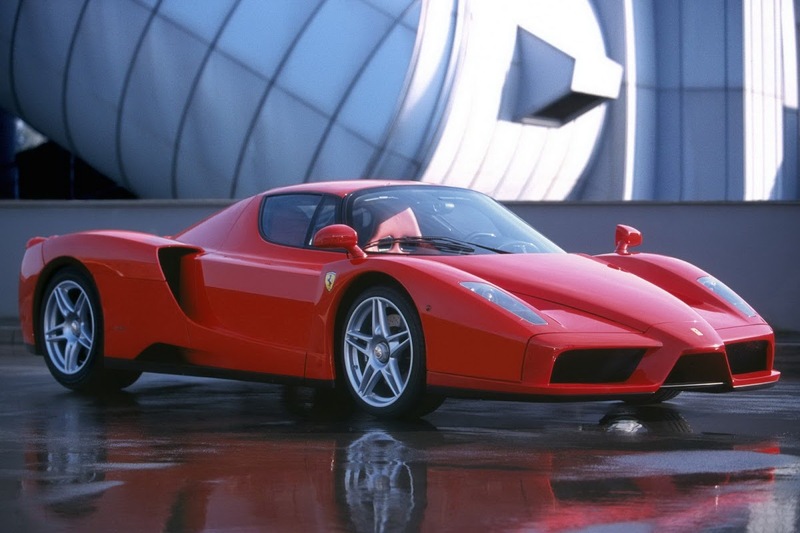 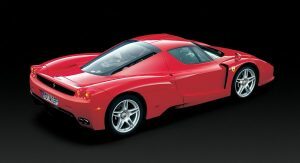 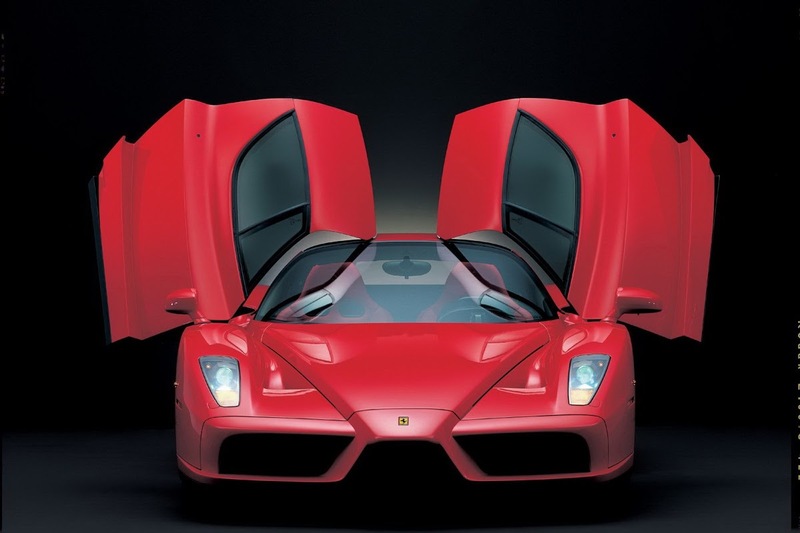 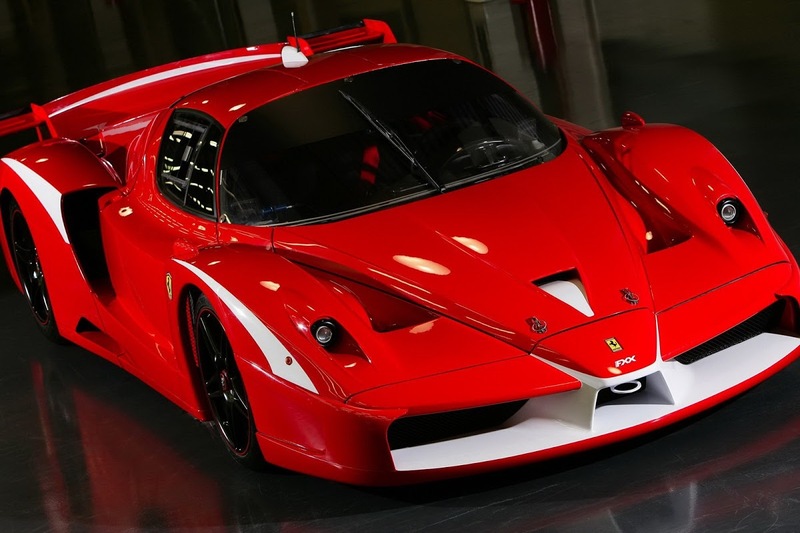 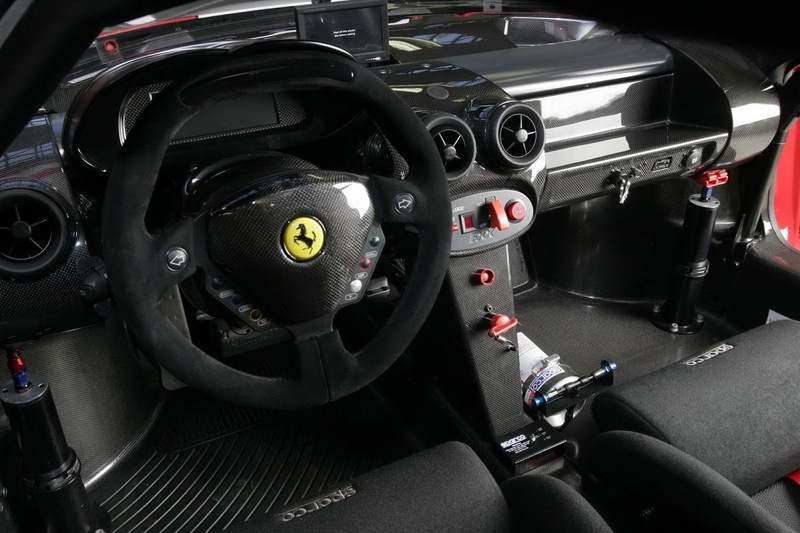 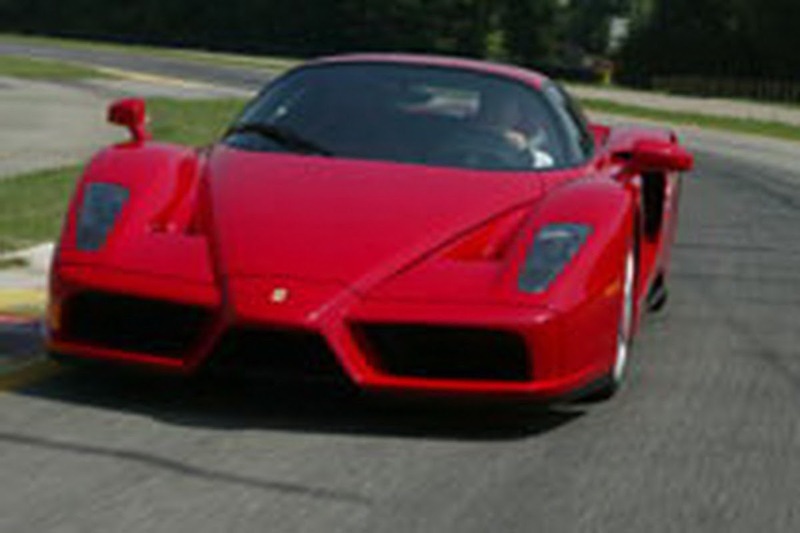 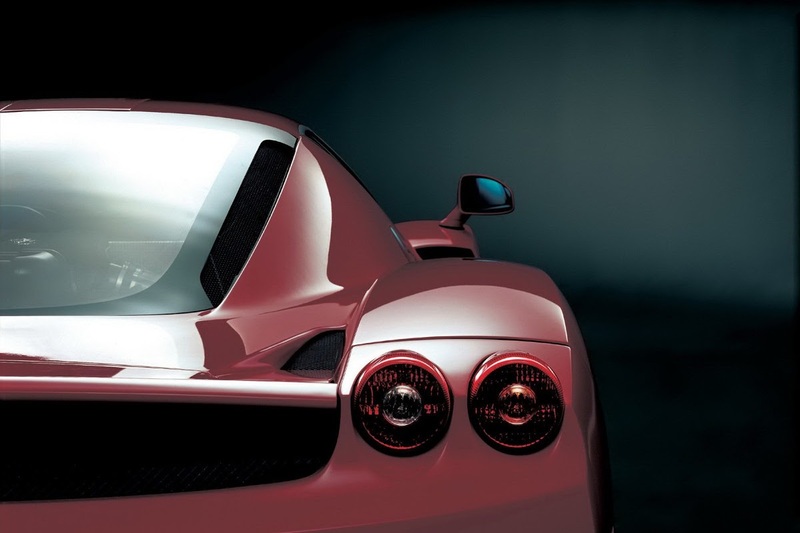 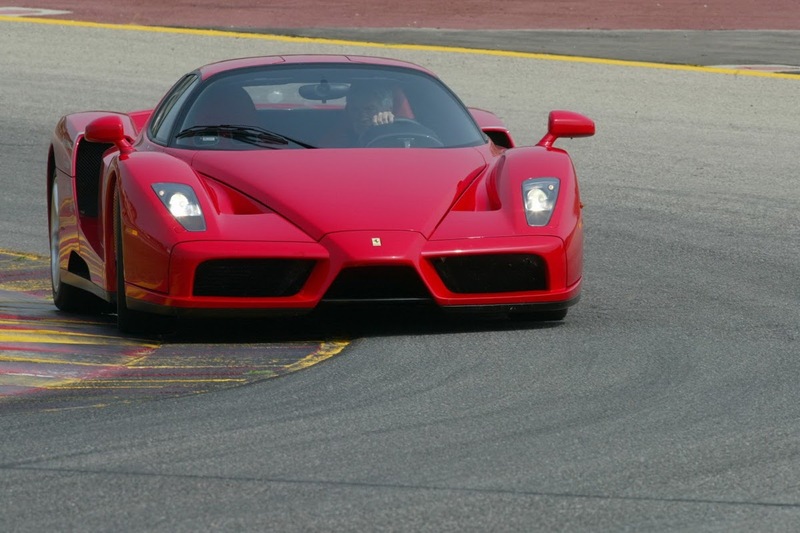 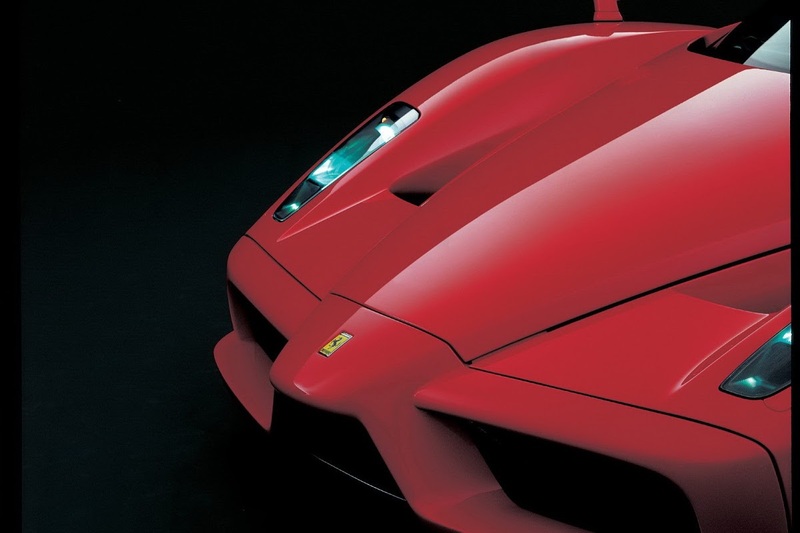 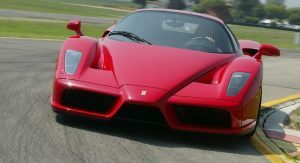 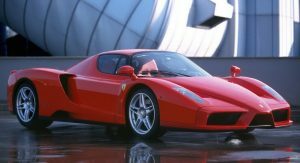 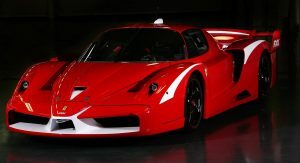 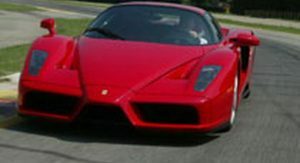 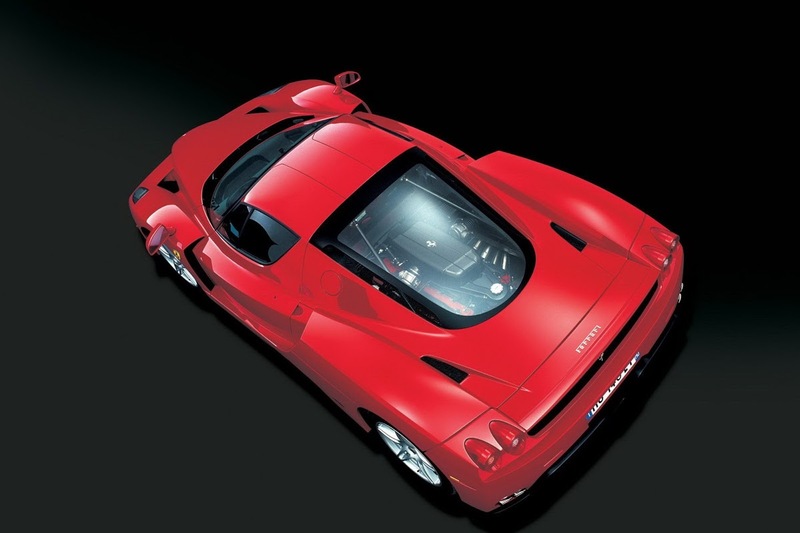 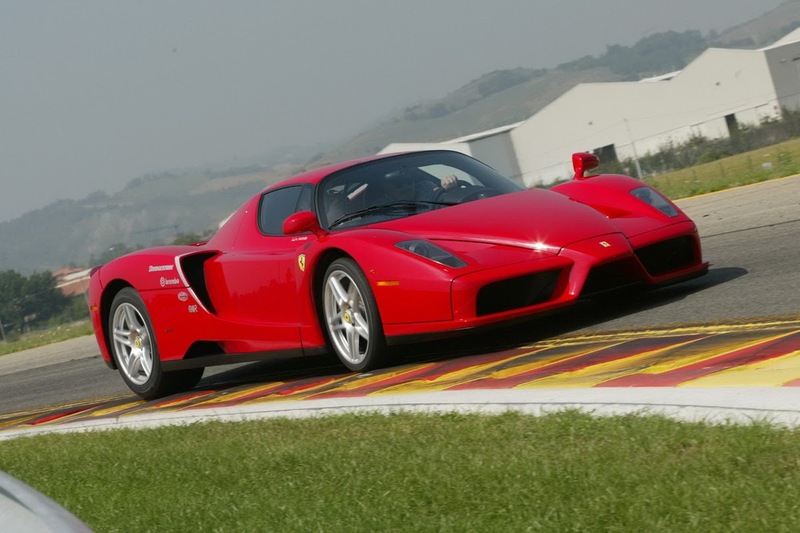 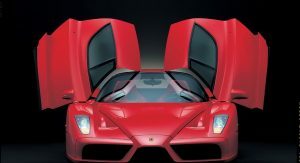 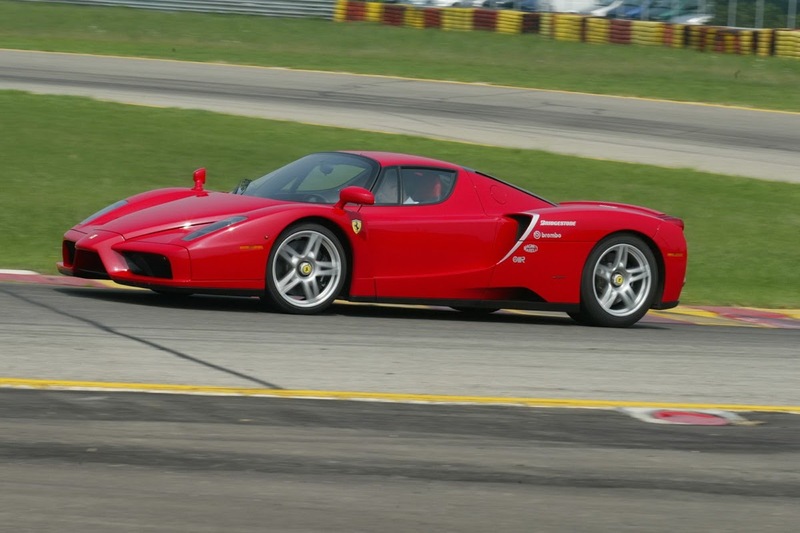 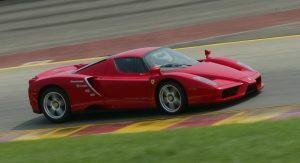 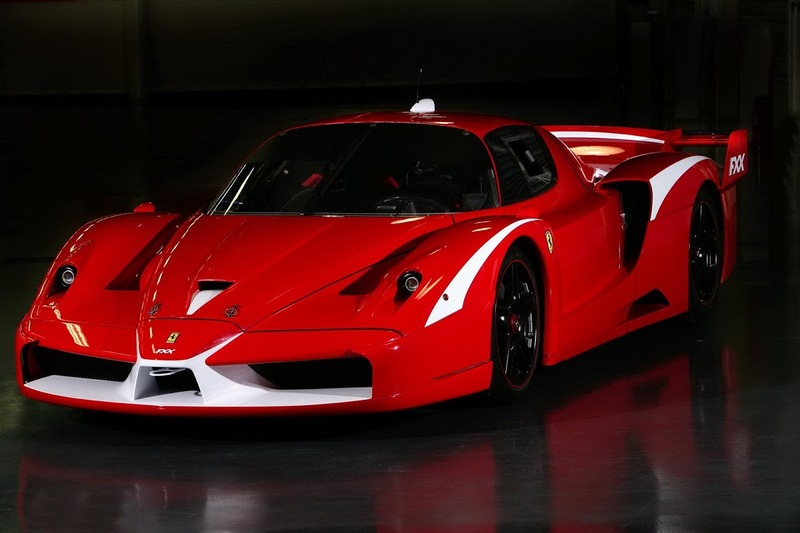 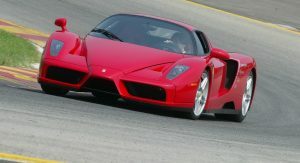 The Enzo featured a carbon fiber body, a semi-automatic paddle shift six-speed gearbox and carbon ceramic brakes. 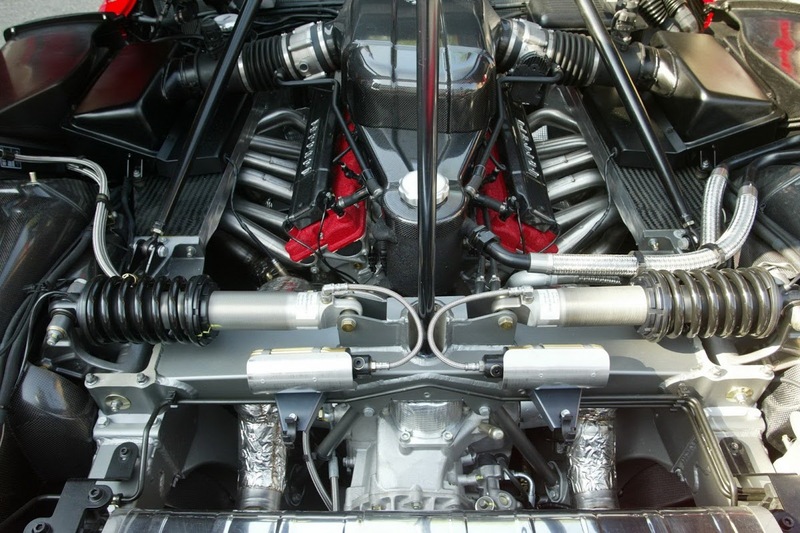 It was powered by a 6.0-liter V12 that revved upped to 8,000 rpm and produced 651HP. 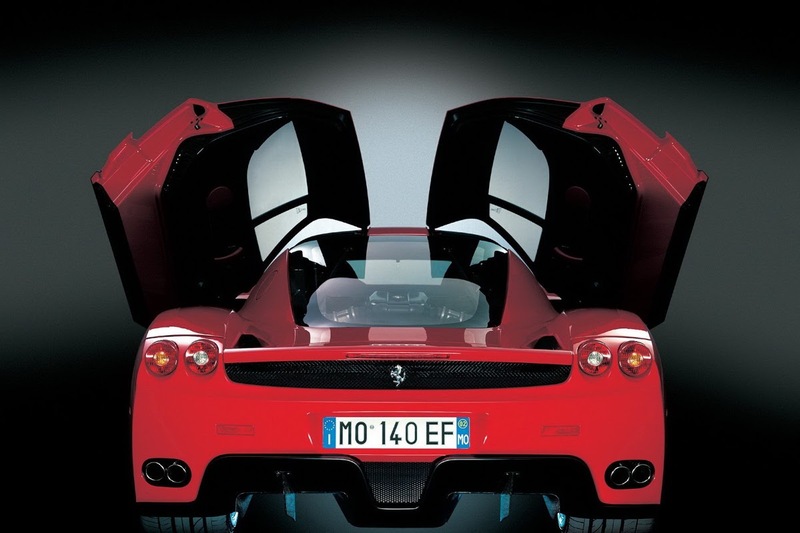 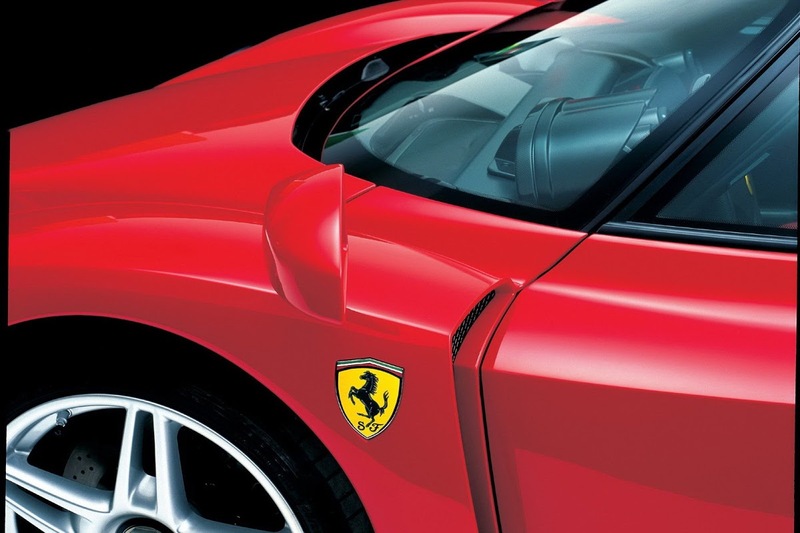 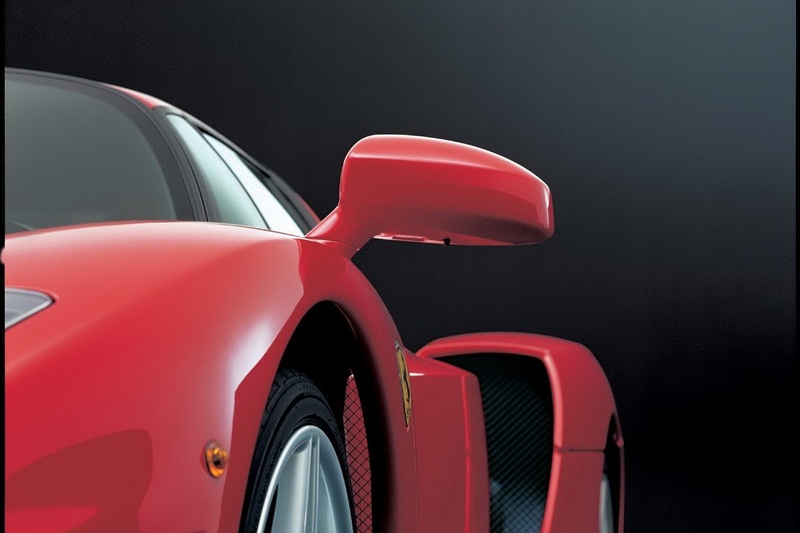 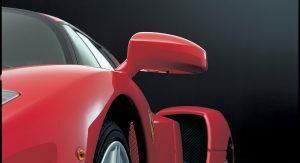 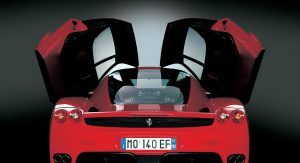 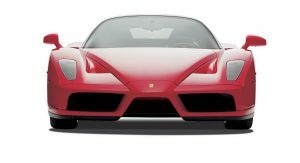 Ferrari’s current head of design Flavio Manzoni said that stylists don’t like large wings, like those used in the F40 and F50, both from an aesthetic and a functional point of view. 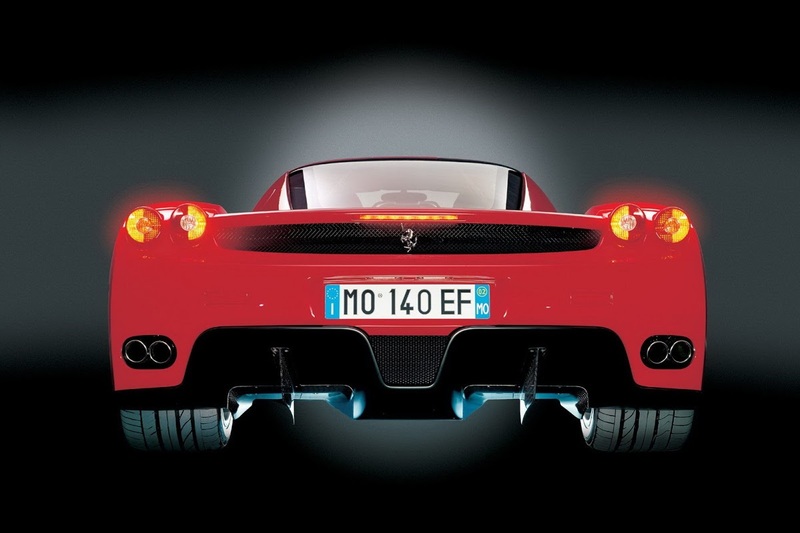 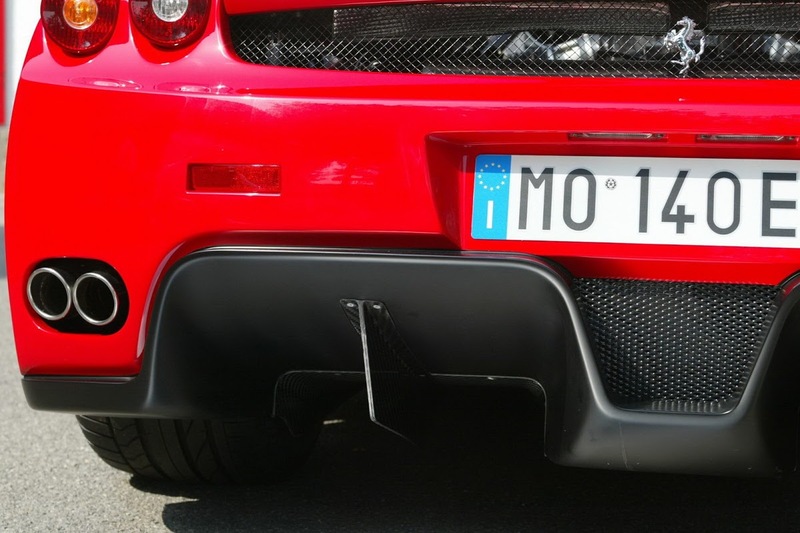 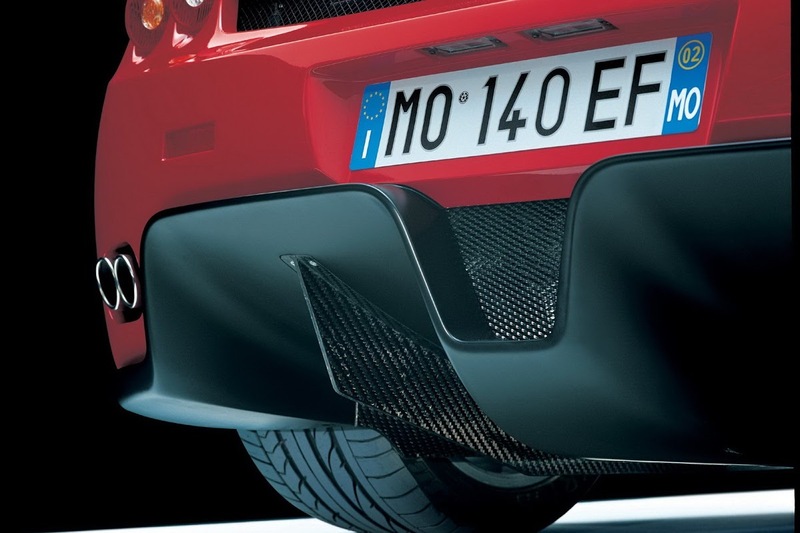 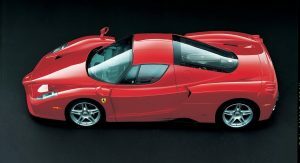 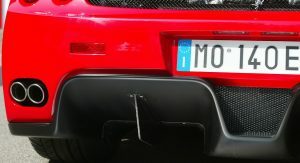 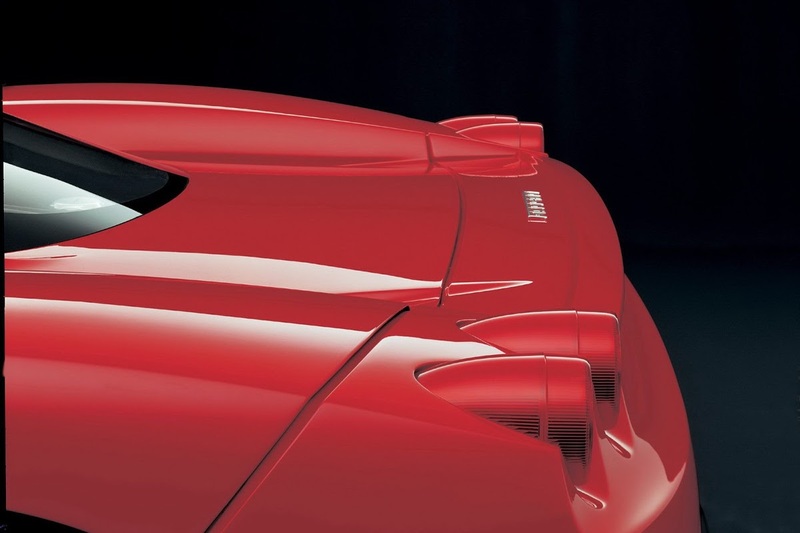 Thus, the Enzo featured moving aero devices to achieve downforce that, in addition, was superior to that of its forebears. 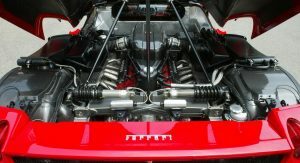 Although Ferrari and Maserati are both owned by Fiat and the former manufactures engines for the latter, their model lines are not related. 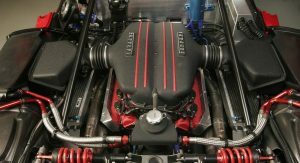 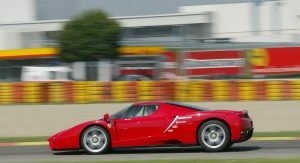 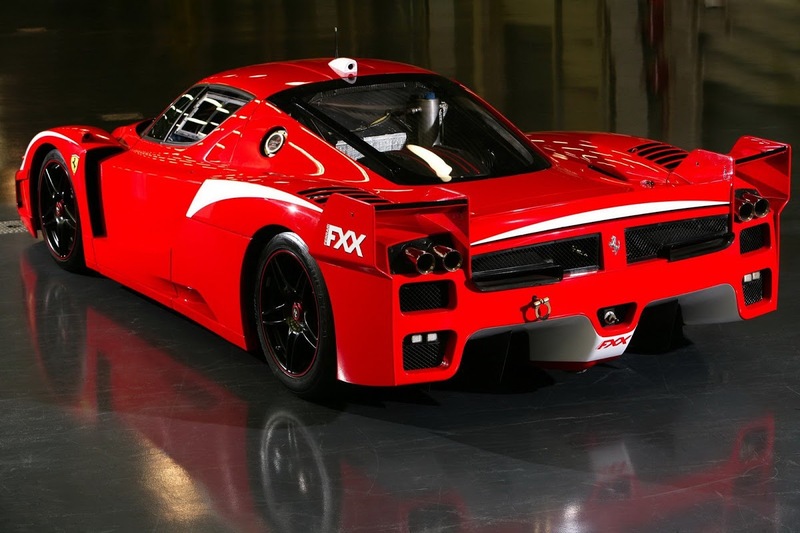 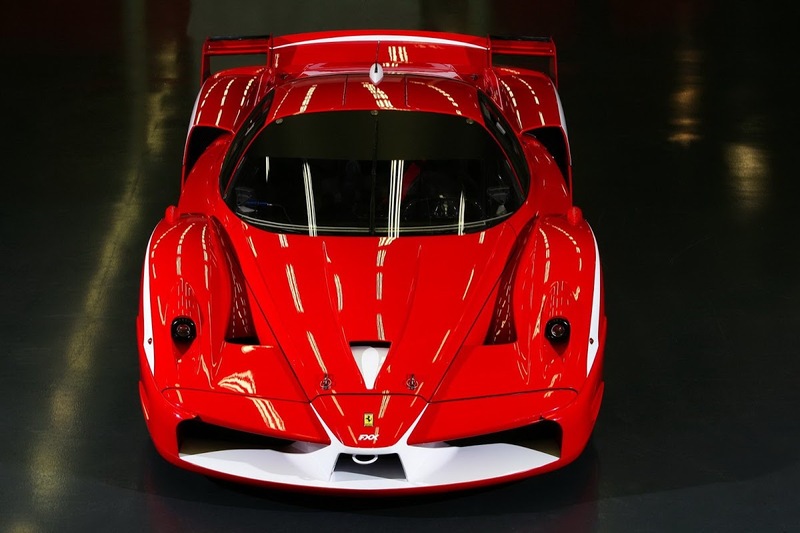 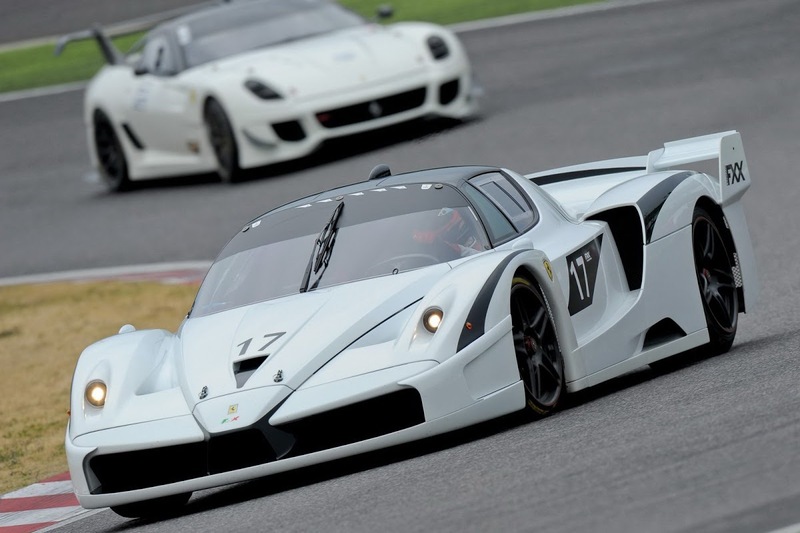 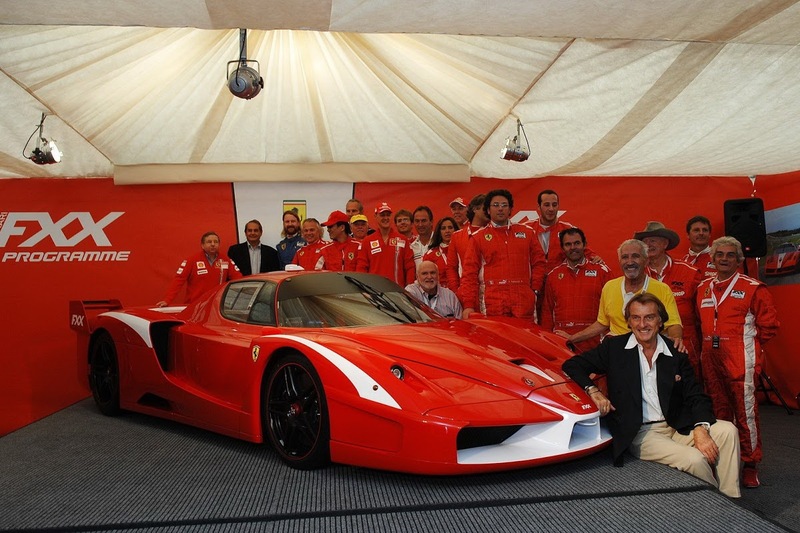 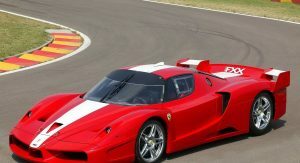 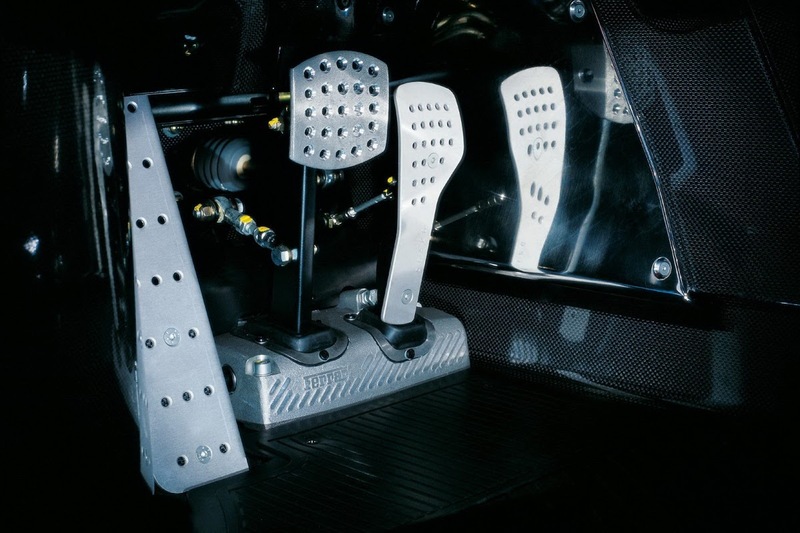 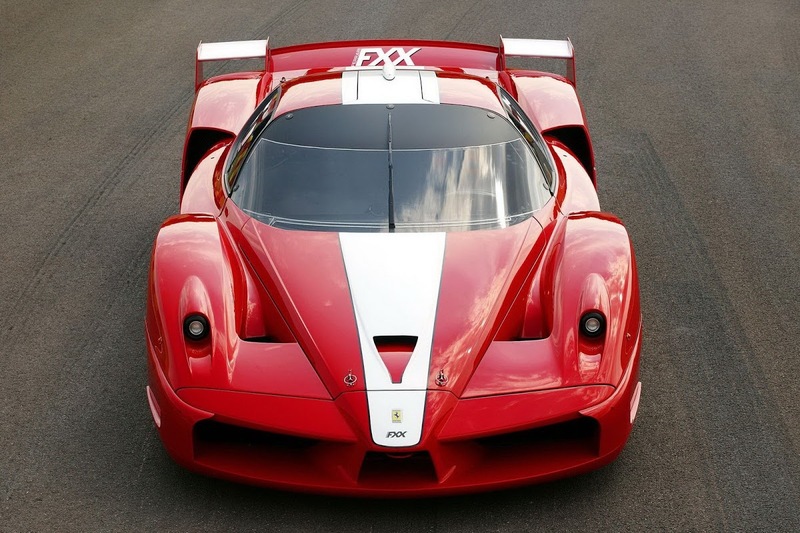 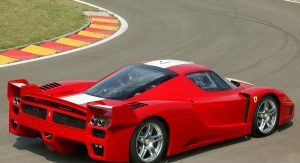 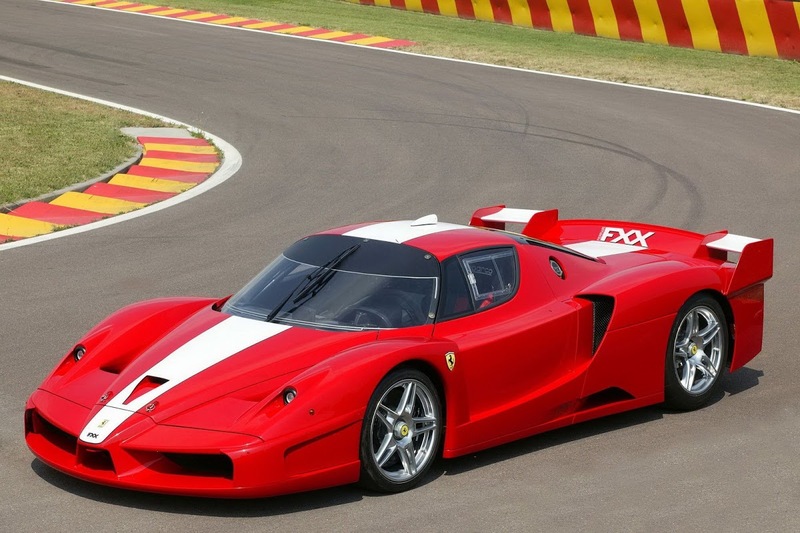 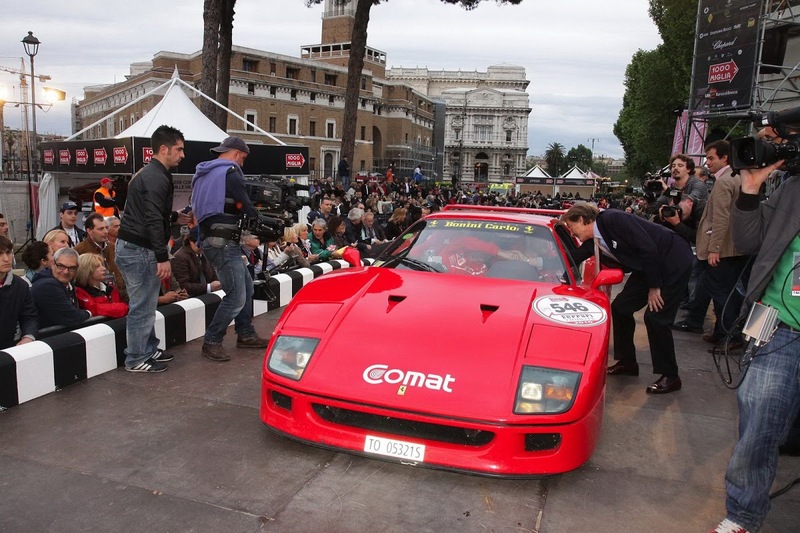 Interestingly that rule was broken by the Enzo, which “donated” its chassis, engine and gearbox to its stablemate for the creation of the homologation-special MC12 that was manufactured in 50 units and allowed Maserati to compete in the FIA GT Championship.